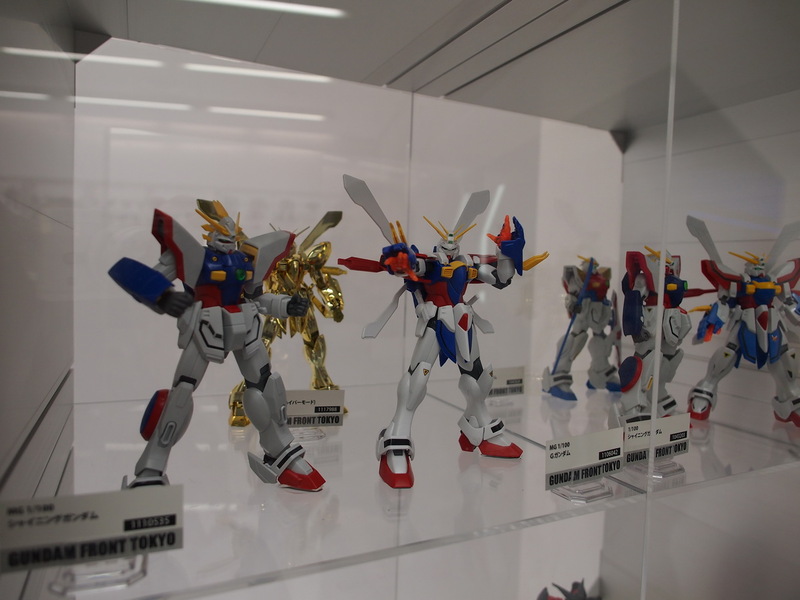 As mentioned before, despite having a whirlwind August, one thing I managed to squeeze in was a trip to Shizuoka to see the 1/1 “Real Grade” Gundam. 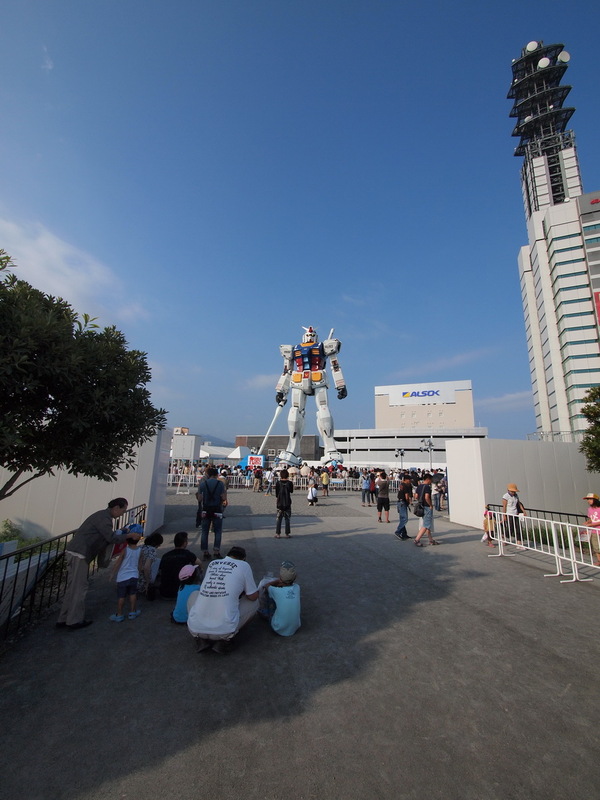 While I had seen the original Green Project Gundam when it was in Daiba last year, this time was extra special as it was a meeting of Gundam minds. 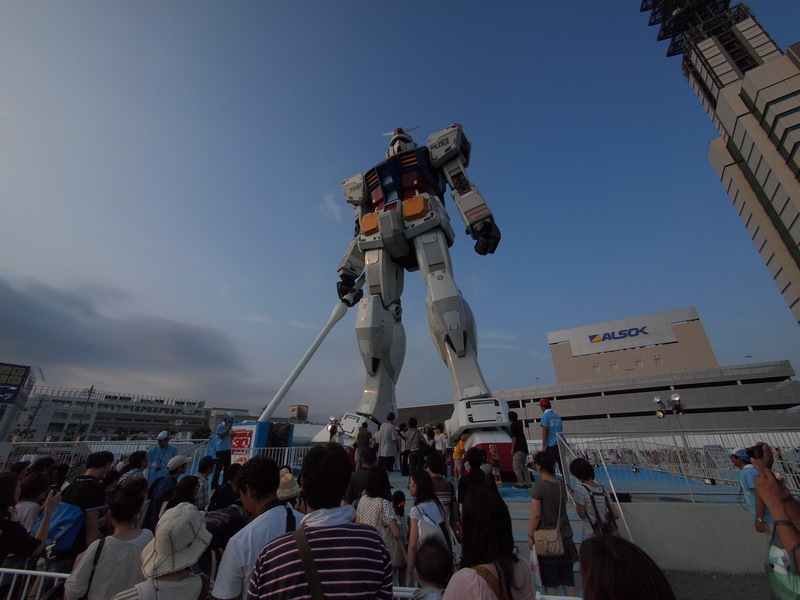 Buster Beam (Plamo Addiction), GaiGun (Gaijin Gunpla), Gundam Guy, and myself came together in what some could call a pilgrimage of sorts. 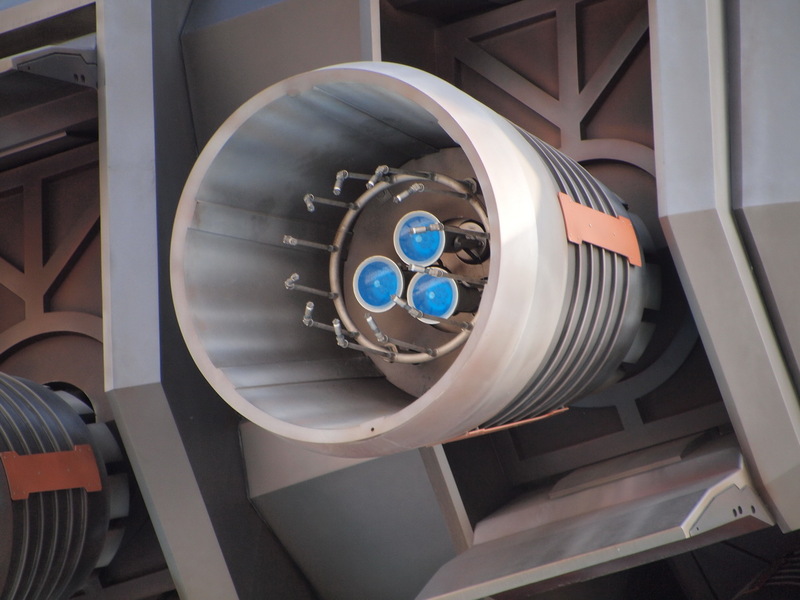 Buster has a good write up of how the day went in his post. 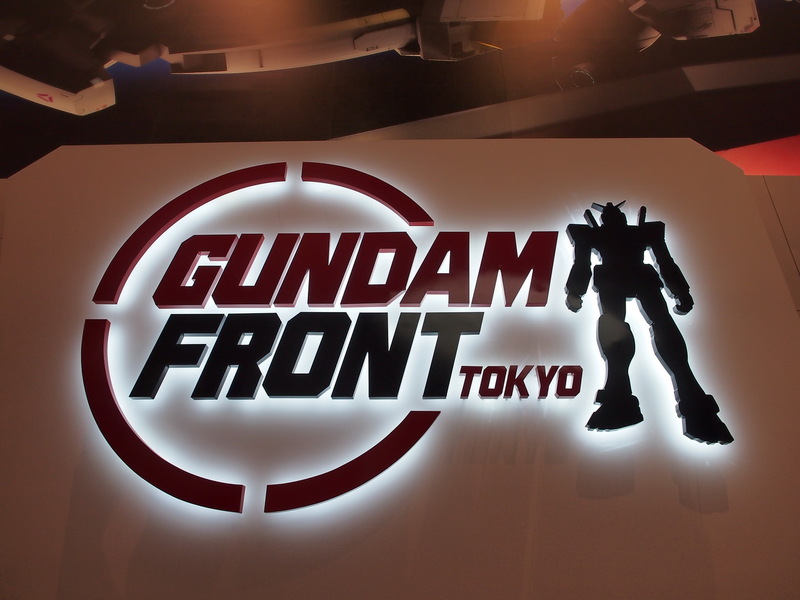 Still, here are my thoughts on the day and how it went overall. 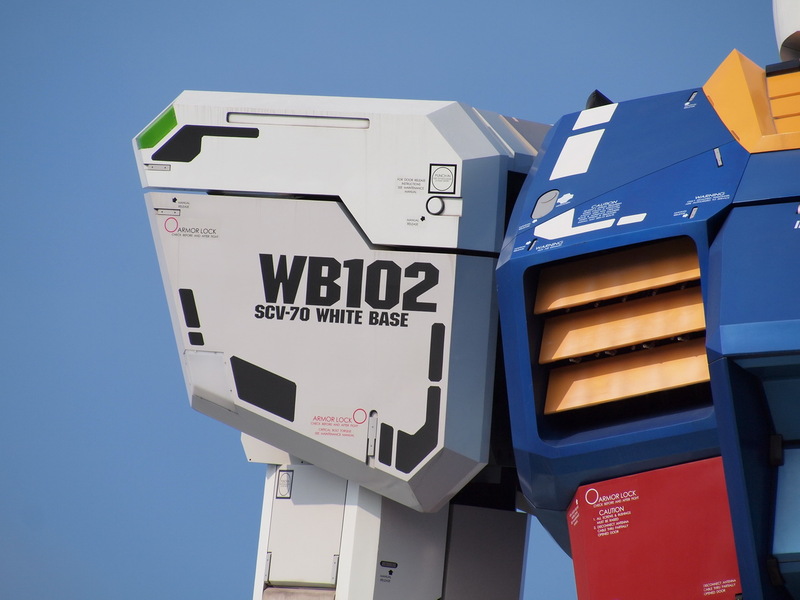 I have two main thoughts on this. 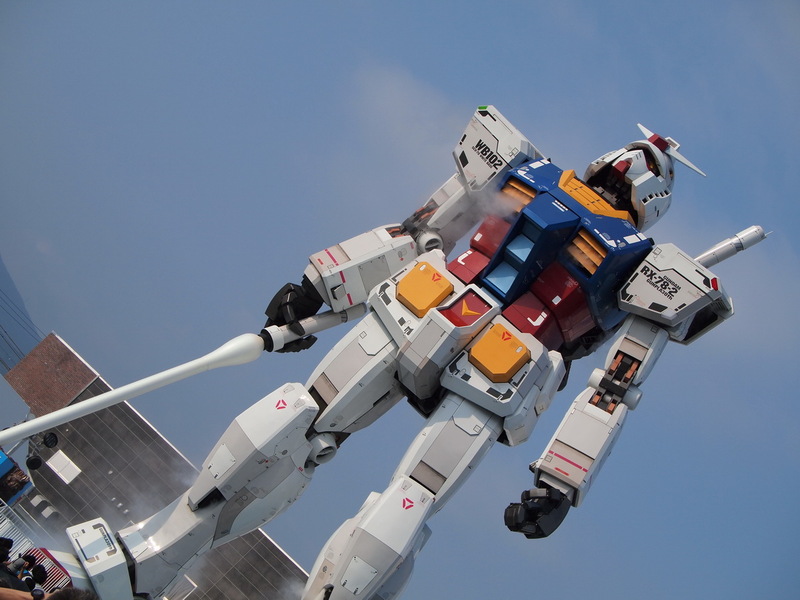 First, yes, the 1/1 Gundam is awesome. 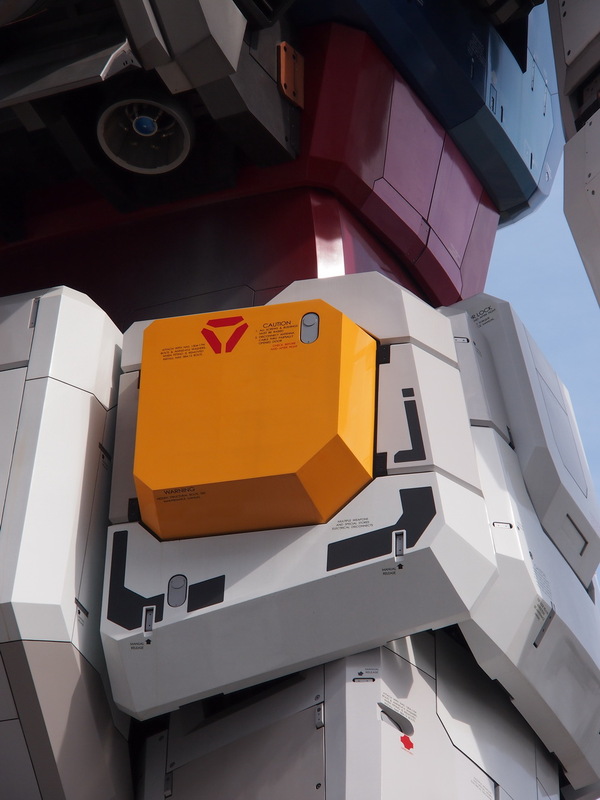 It really makes you think, that on some scale, something like this could be possible in the future. 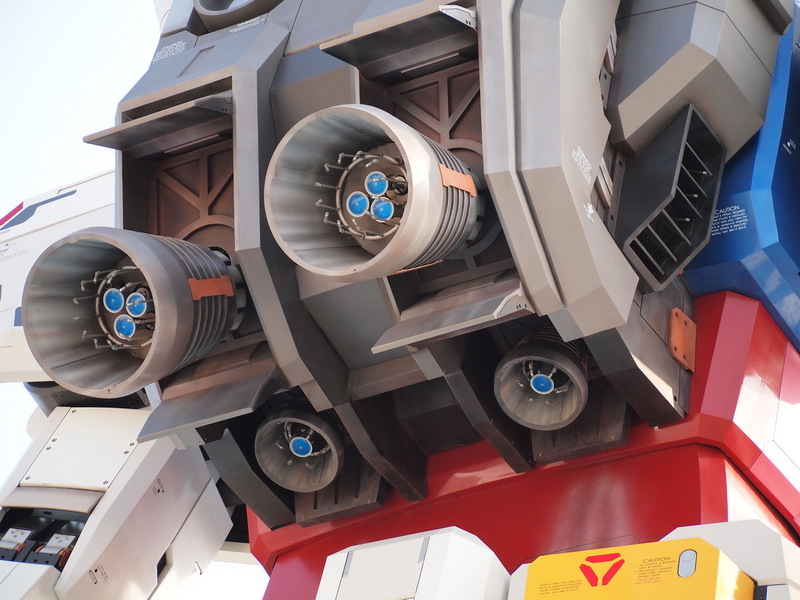 At the same time, it really makes me respect the Japanese and the country I’m in, because it takes some serious engineering, and most importantly, fan love to get something like this going. 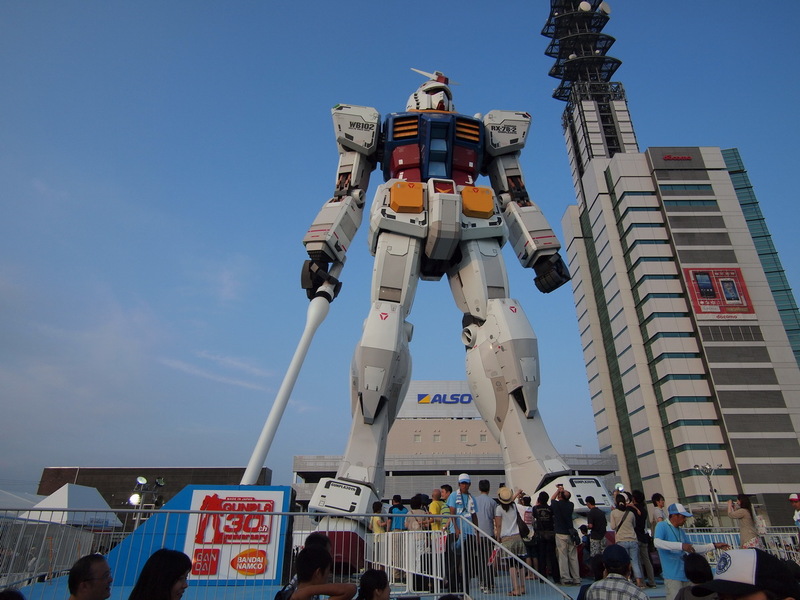 Thinking back to the states, and while we have our comic book heroes, and Star Wars, and so on, I can’t think of anything that comes close to this at home. 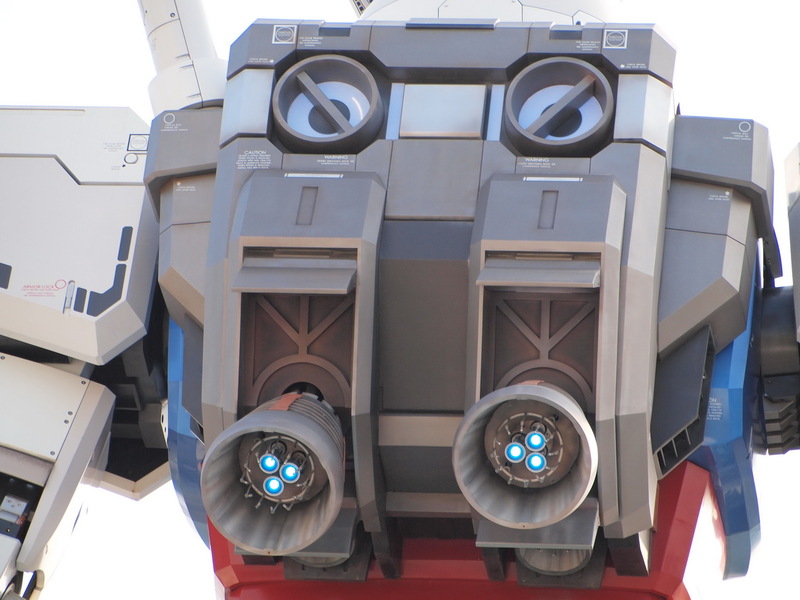 Well, maybe Disney, but that is another thing in itself. 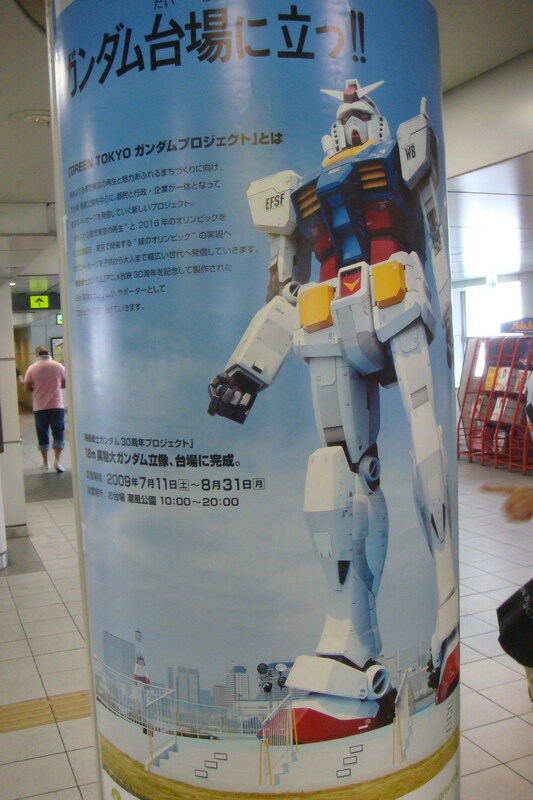 To go with my first thoughts, are the pictures itself. 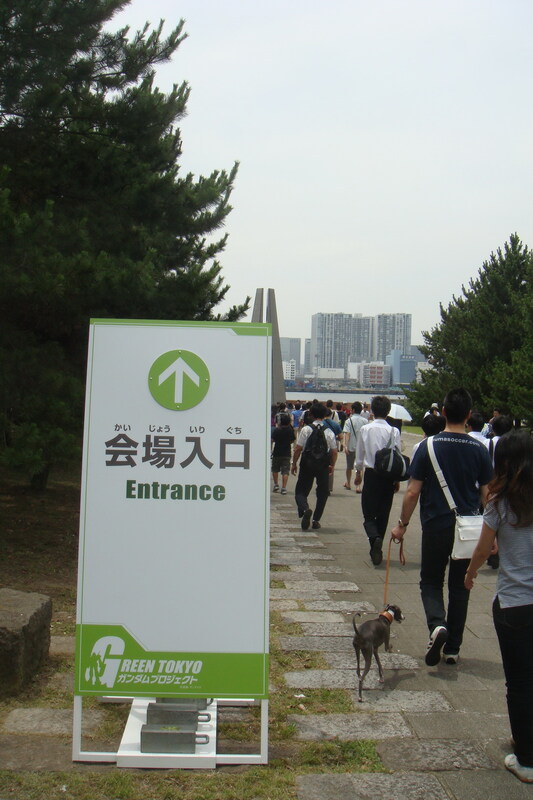 My second thoughts are below the photos. 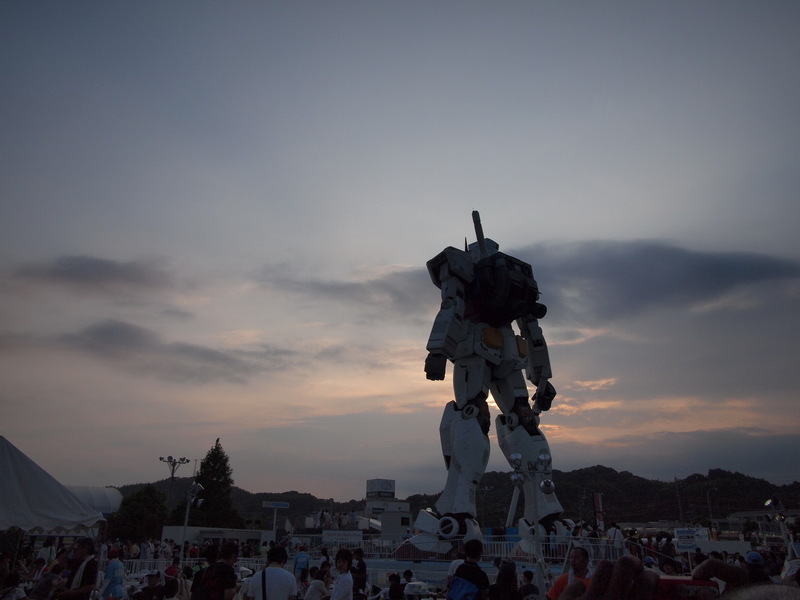 Secondly, and more importantly, this experience was made all more the better, and richer, by going with friends. 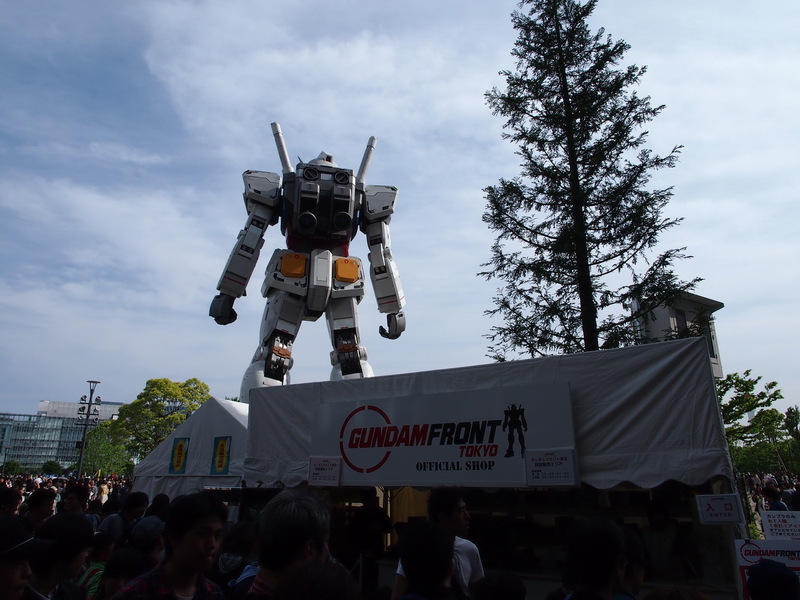 Honestly, going last year was neat, but dragging my wife who was not really interested in it, meant that I was geeking out on my own, and thusly, it wasn’t as much fun. 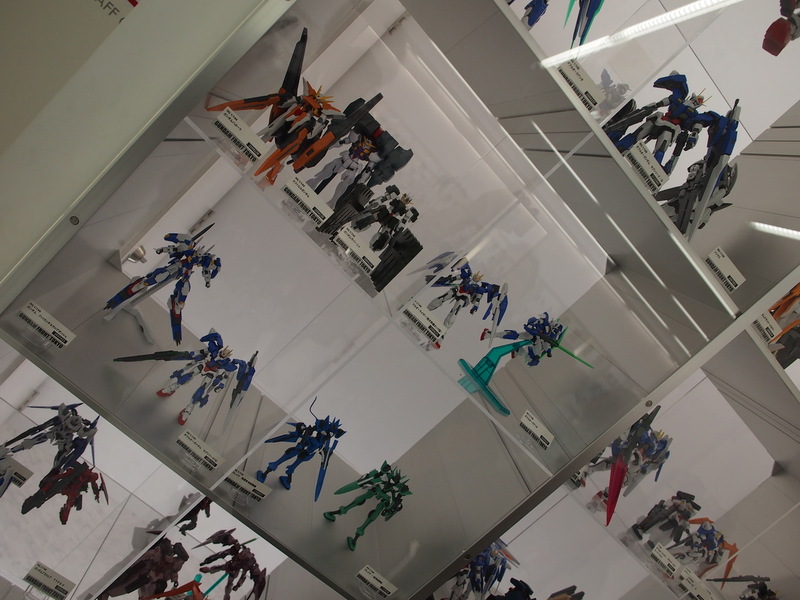 Half of this trip was the 1/1 Gundam, the other half was Buster, GaiGun, and GG. 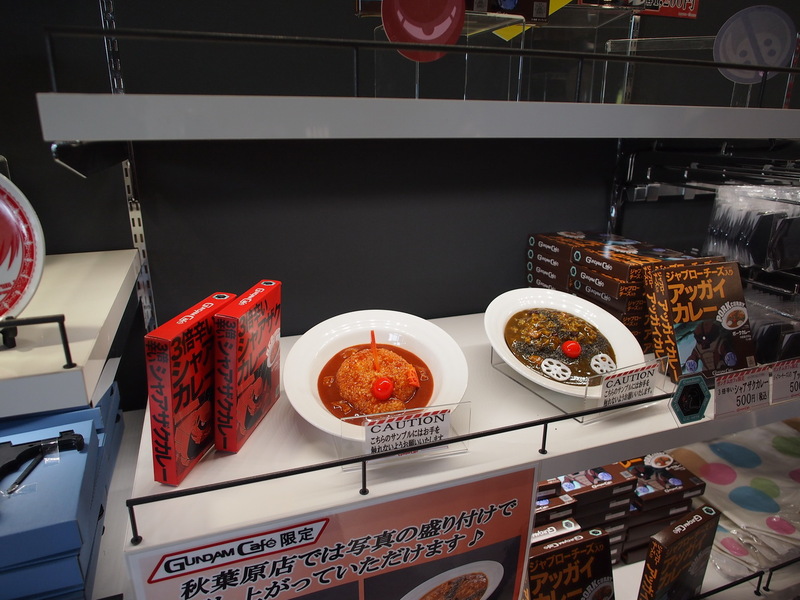 As noted by Buster, I stopped in Nagoya to meet up with him and get some good old Miso Katsu, as Nagoya is famous for the red miso style of cooking. 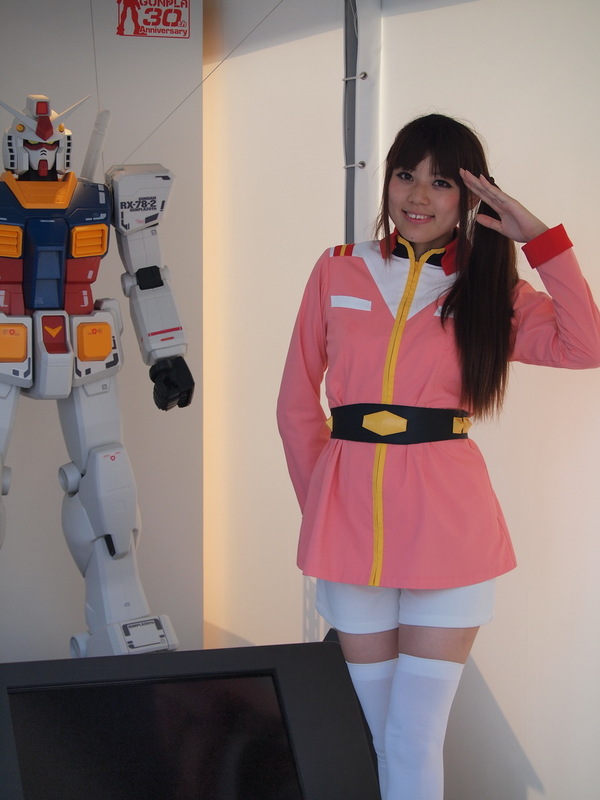 I knew it was going to be a good day when he met me wearing his FixFig Gundam line art shirt. 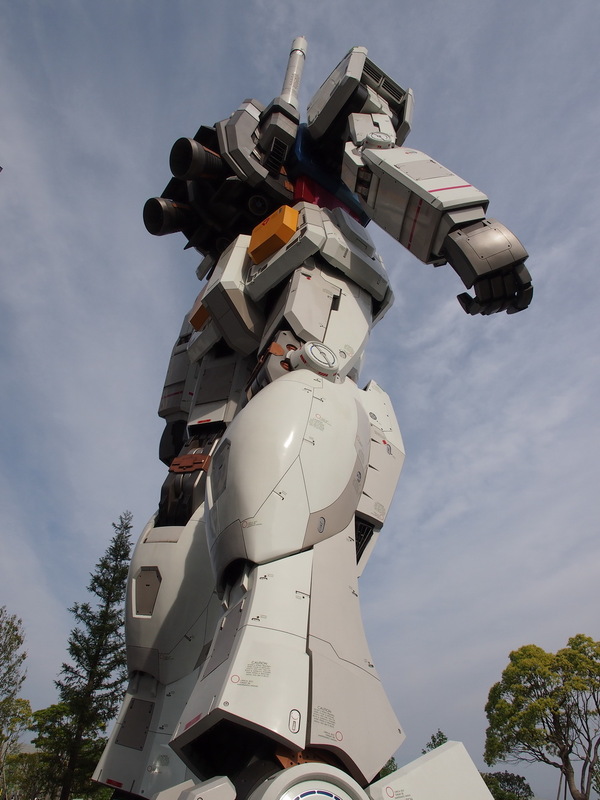 I myself came prepare with the Unicorn Gundam shirt I picked up at the Gundam Super Expo. 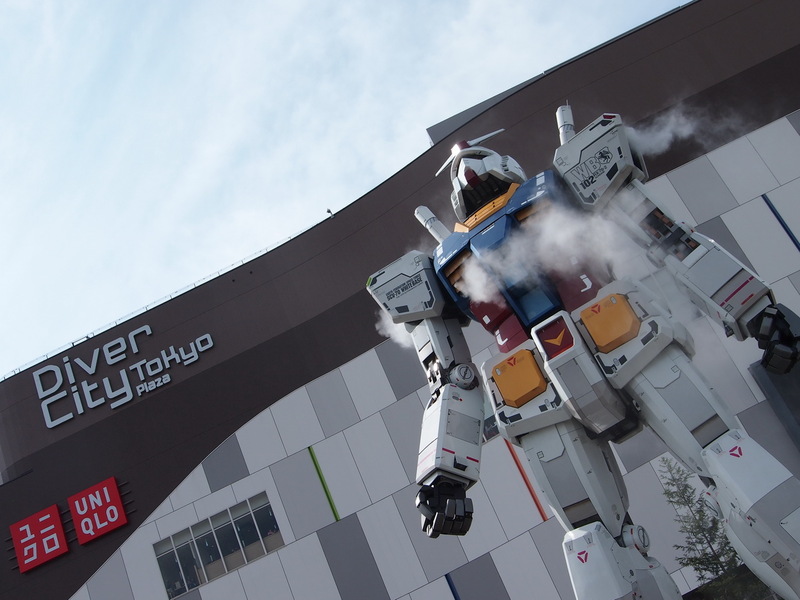 We admired each others excellent choice of fashion and hit up the miso katsu and Nagoya gunpla shops. 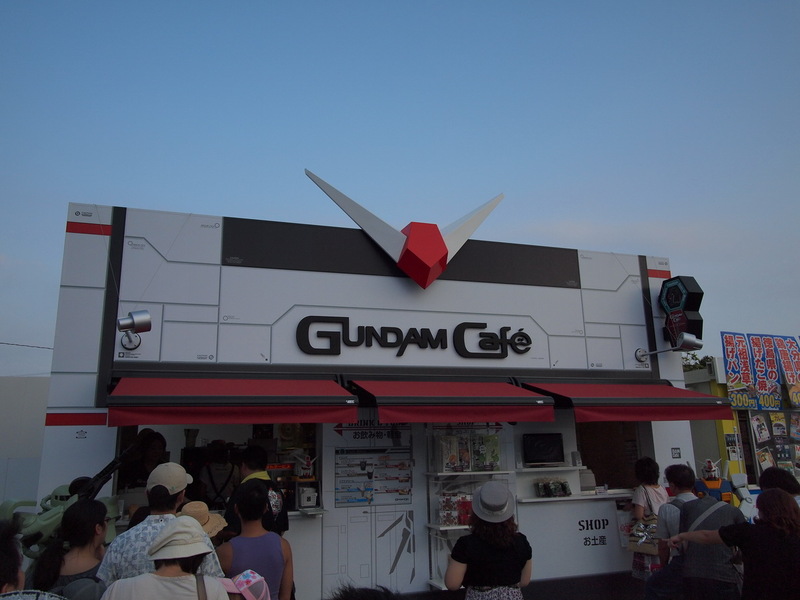 Chatting about recent situations, gundam, and other things about life, we made our way to Shizuoka to meet up with GaiGun and GG coming from Tokyo. 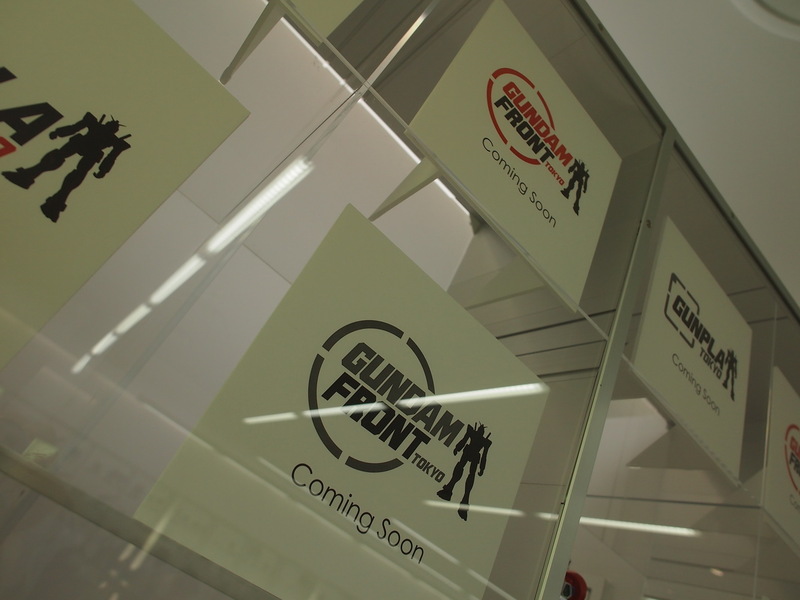 Despite meeting GG for the first time, it was like we’ve all known each other for a long time, and we all headed off to see the 1/1, while helping GaiGun film for hobbylink.tv. 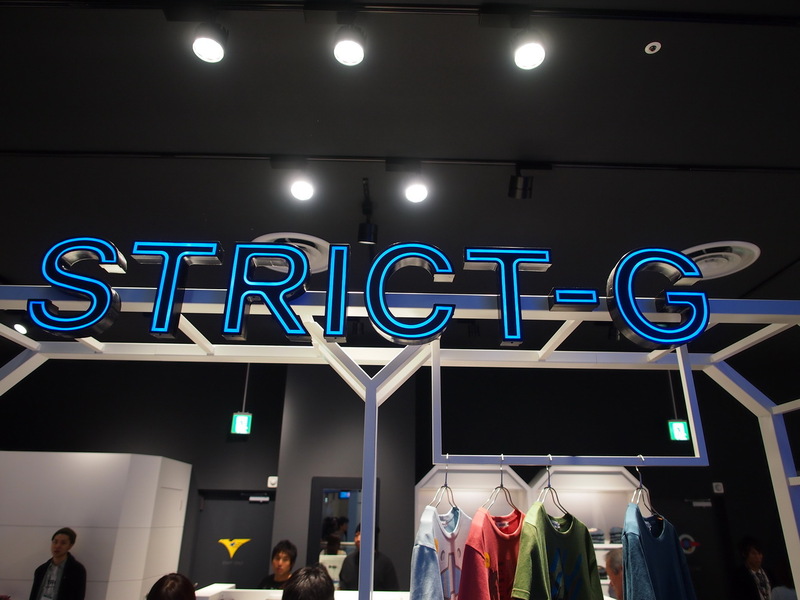 We ahhed, oohed, and took tons of photos, lined up for the gentei goods, and all the while chatting, laughing, and having fun. 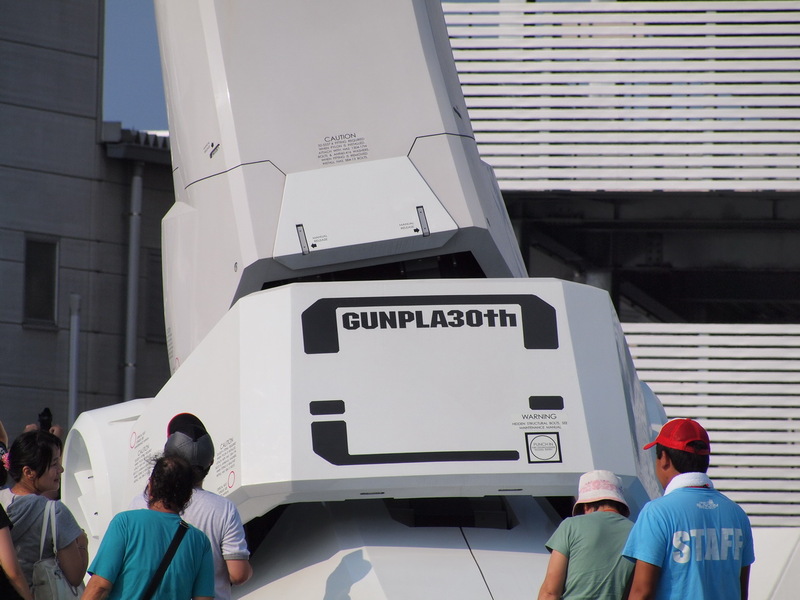 Right before heading off to go do copious amounts of drinking, we discovered that the Tokugawa Musha Mk-II was available at the Shizuoka hobby fair building at the 1/1 Gundam venue. 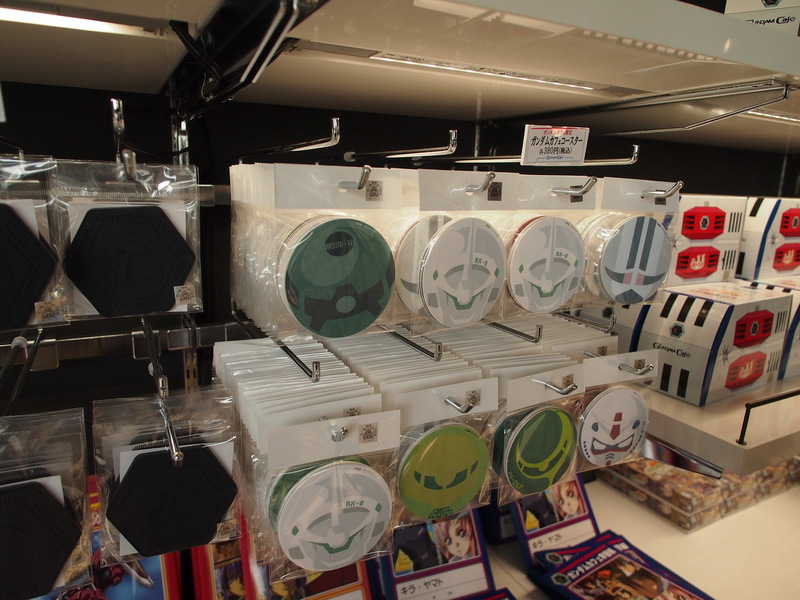 Rather than all of off dropping the money for tickets to enter, I took one for the team and pretty much ran through the show to get to the goods section, where I bought 3 of the kits. 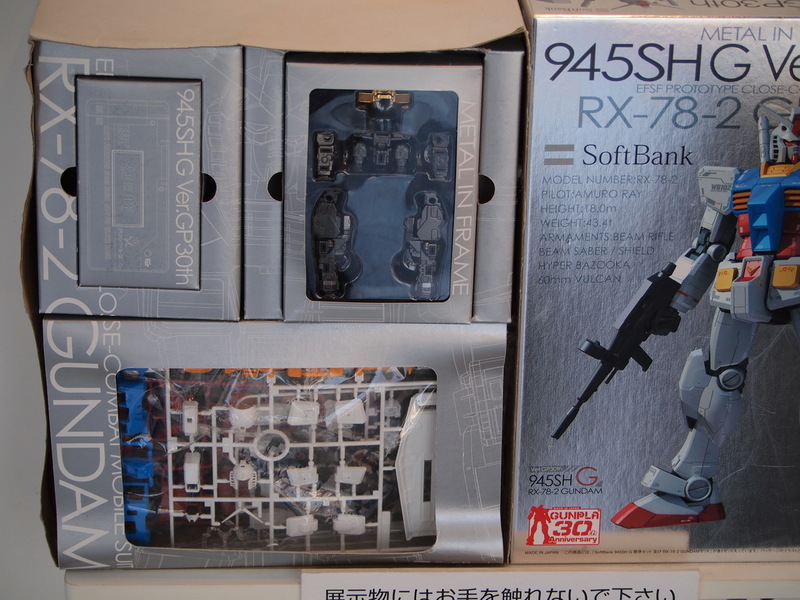 Suffice to say, a big foreigner buying 3 of the Tokugawa kits took some people by surprise by the looks of it. 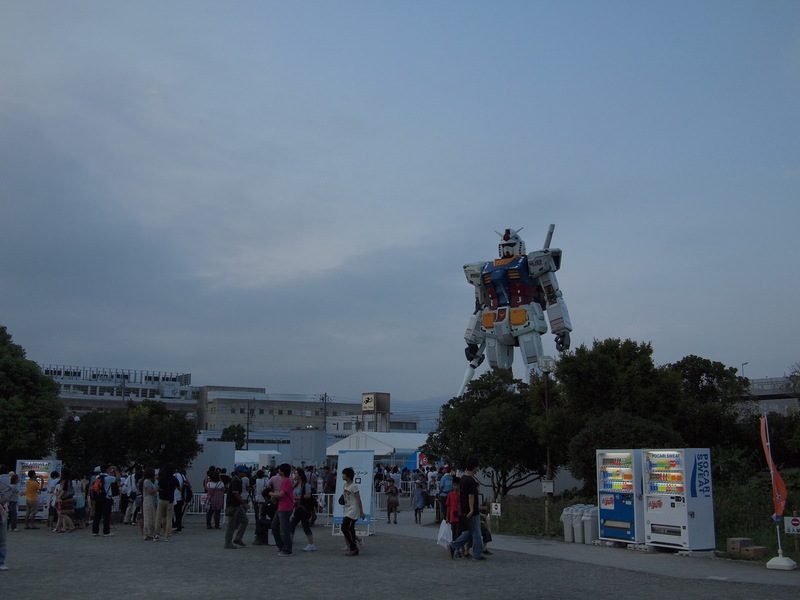 After this we headed back to Shizuoka to partake of extreme amounts of alcohol and chatting about everything and anything we could think of. 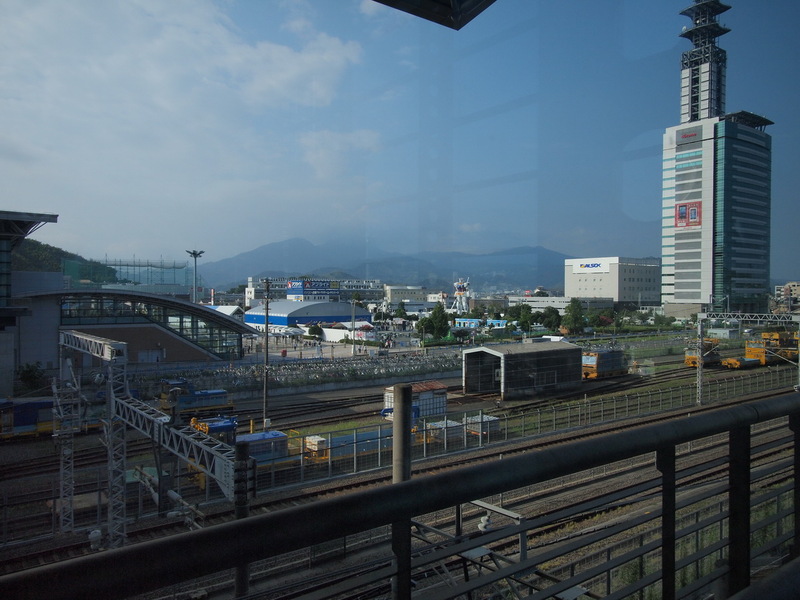 And before we knew it, it was time to board our trains back home… To be honest, I kind of wished we just would have found a bar that was open all night, hit up the all you can drink, and chat until the morning trains. 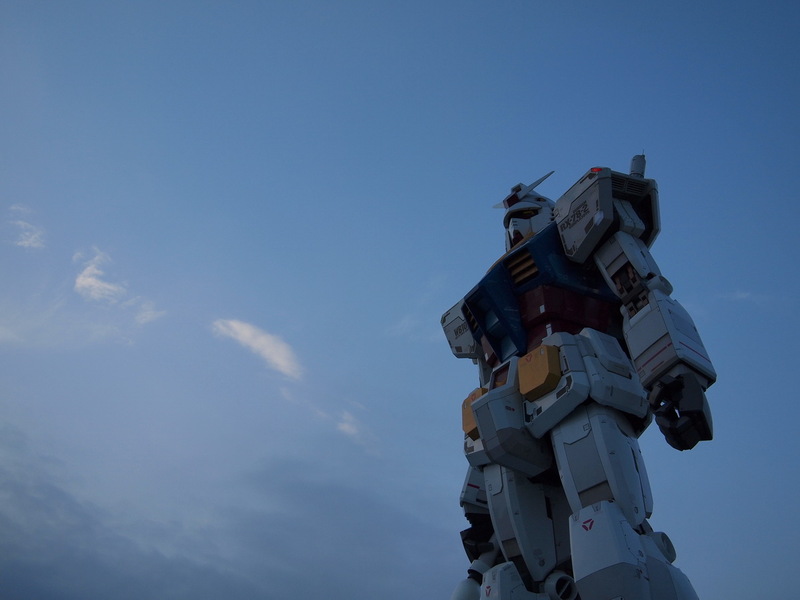 I guess it goes to show that a great experience can be made more powerful by the people you with. 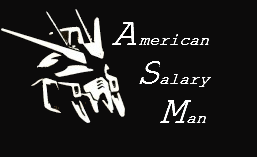 So with that said, I just want to say thanks to Buster, GaiGun, and GG, for a great time. 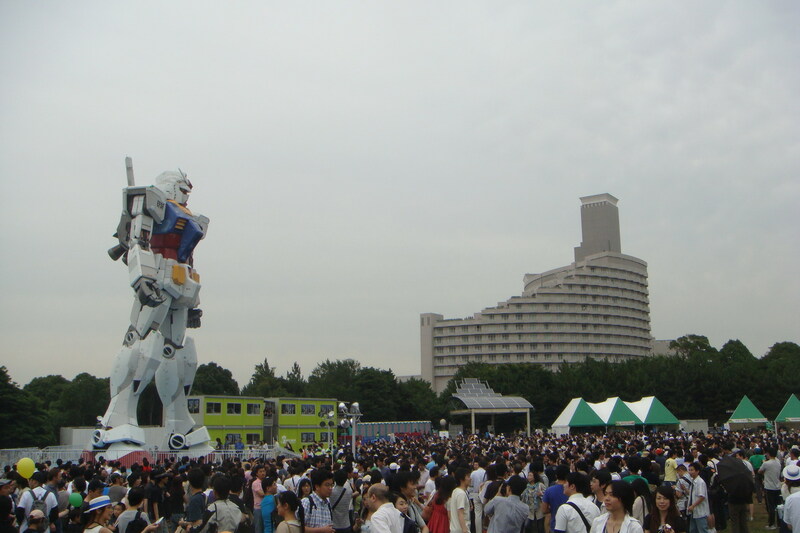 Looking forward to the next get together already. 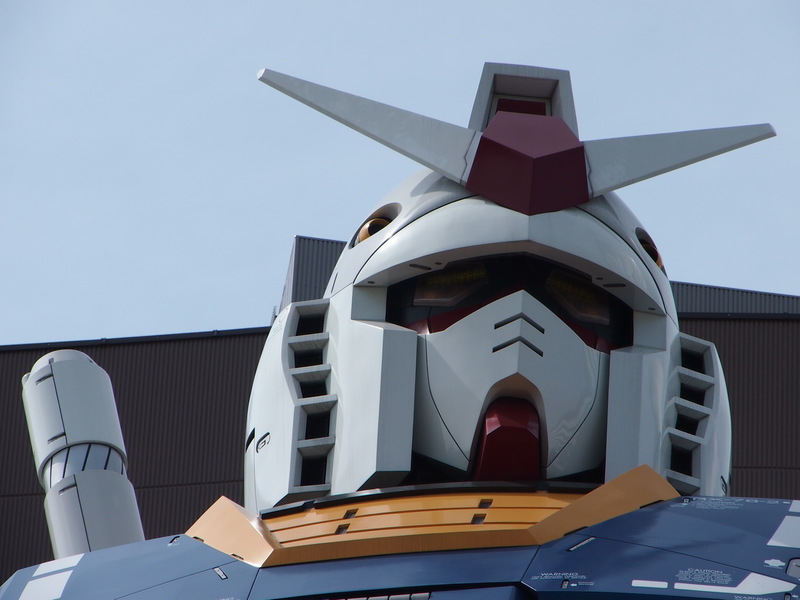 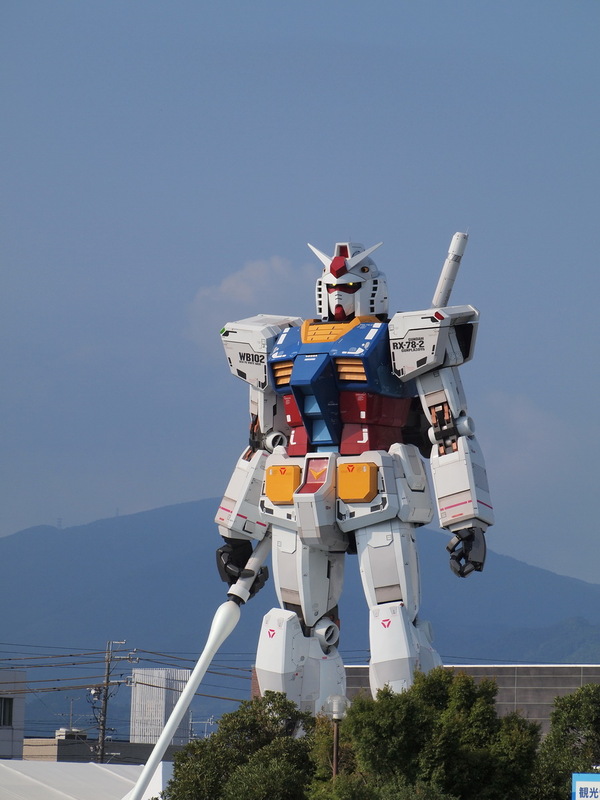 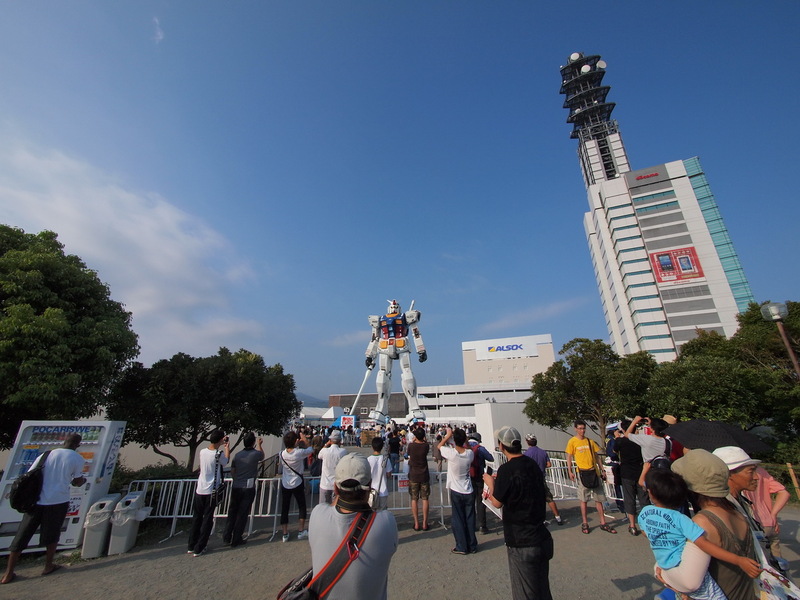 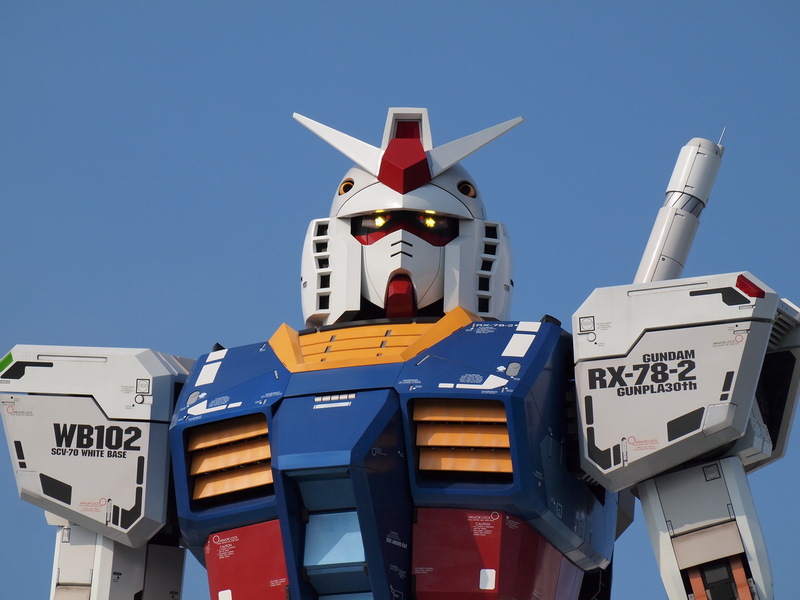 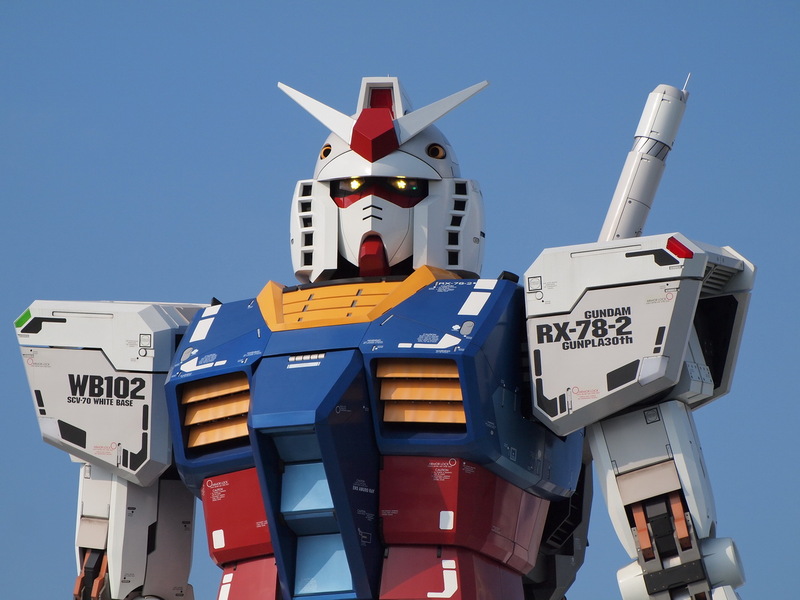 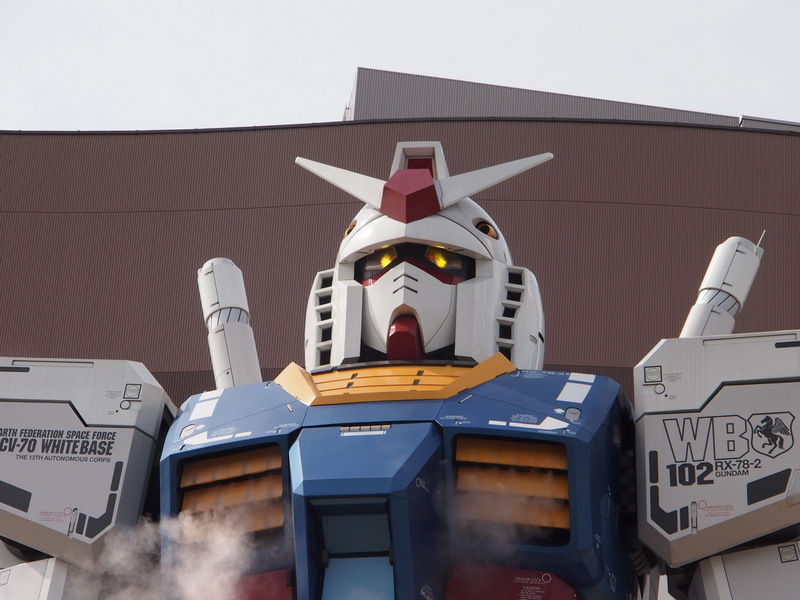 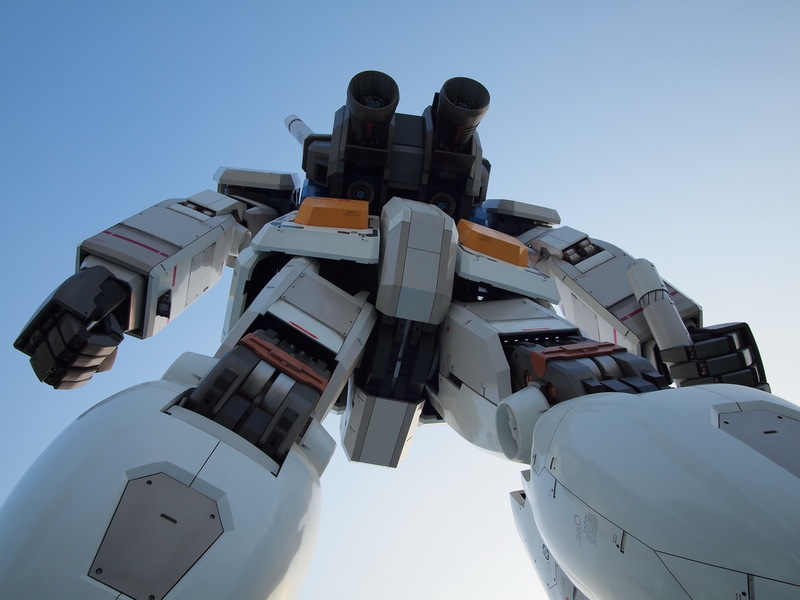 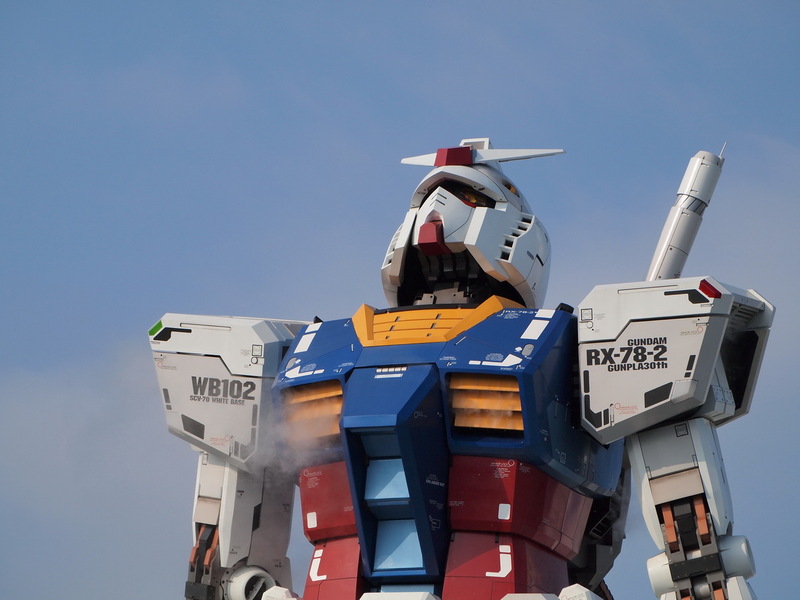 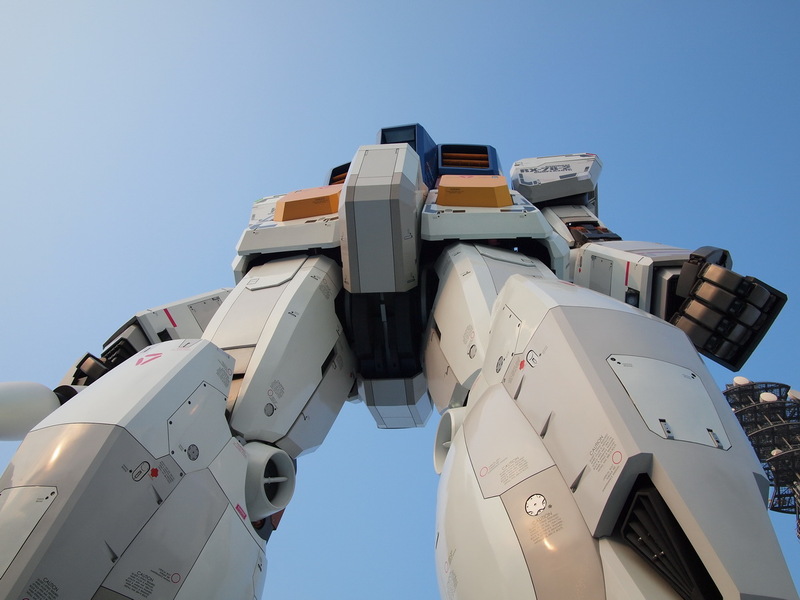 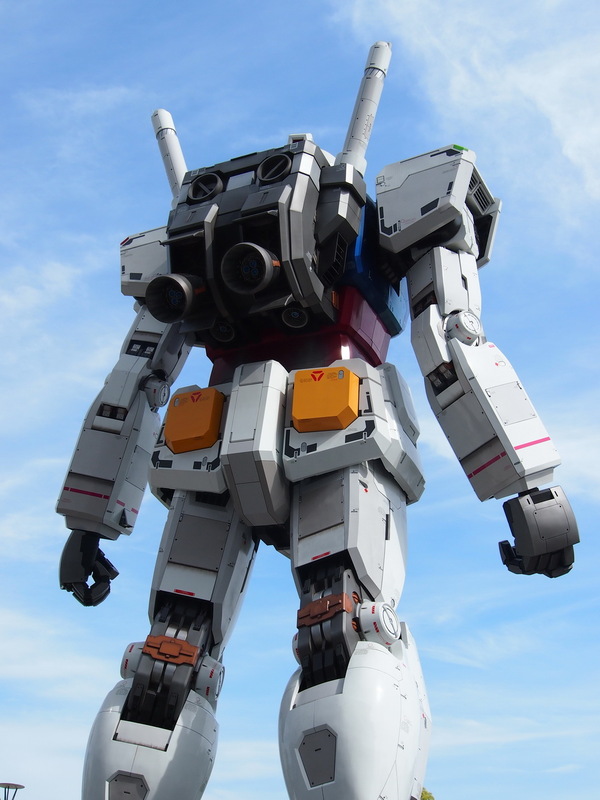 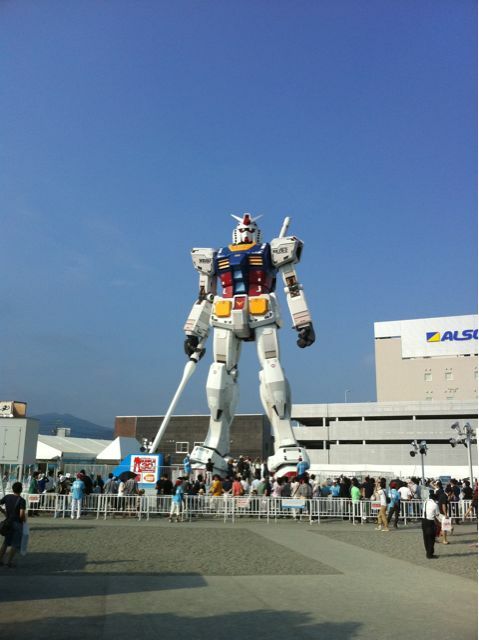 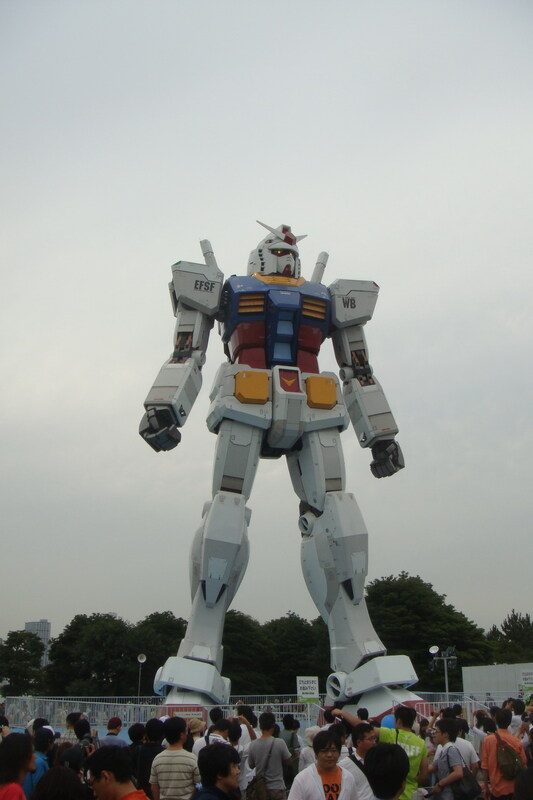 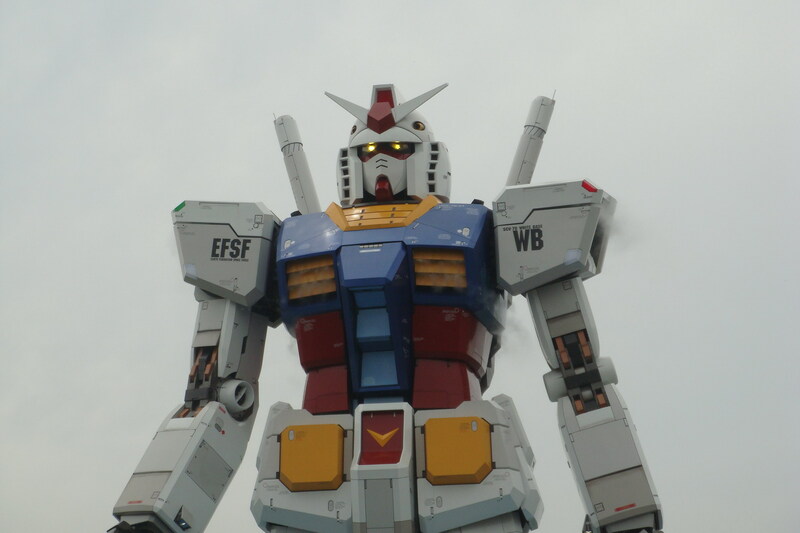 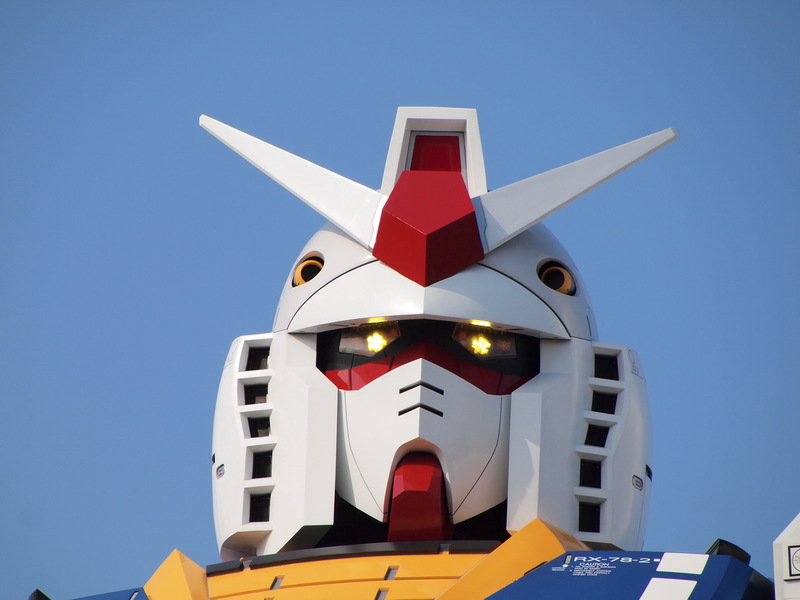 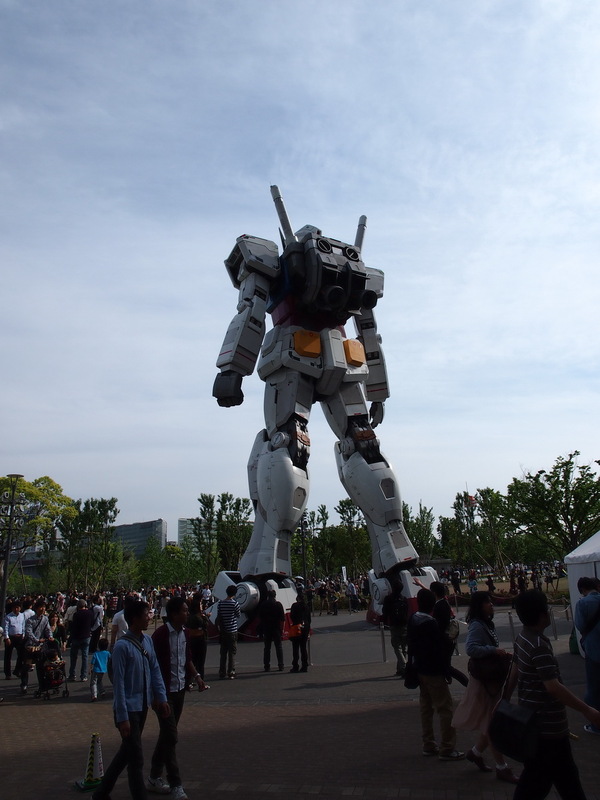 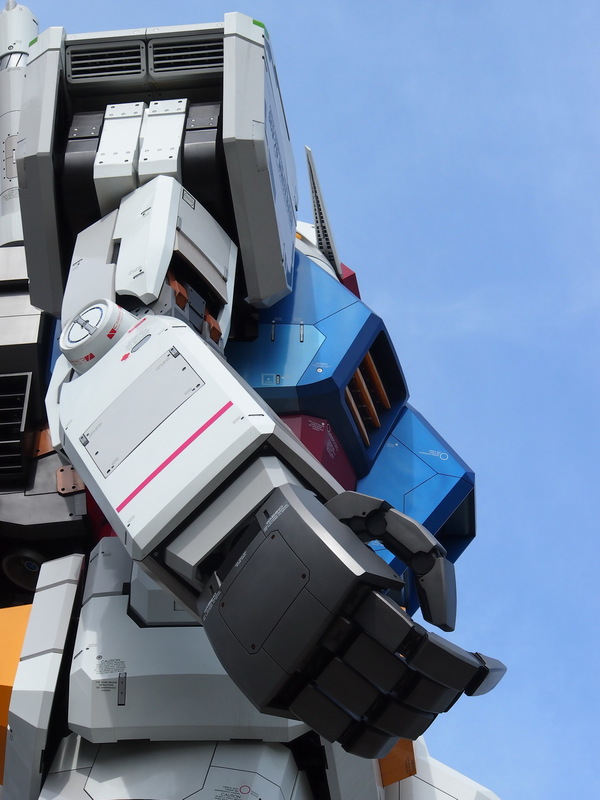 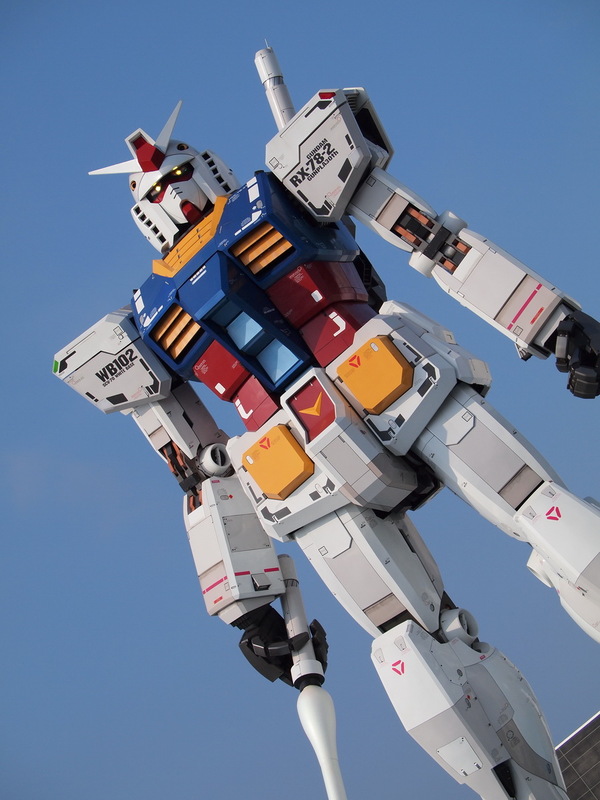 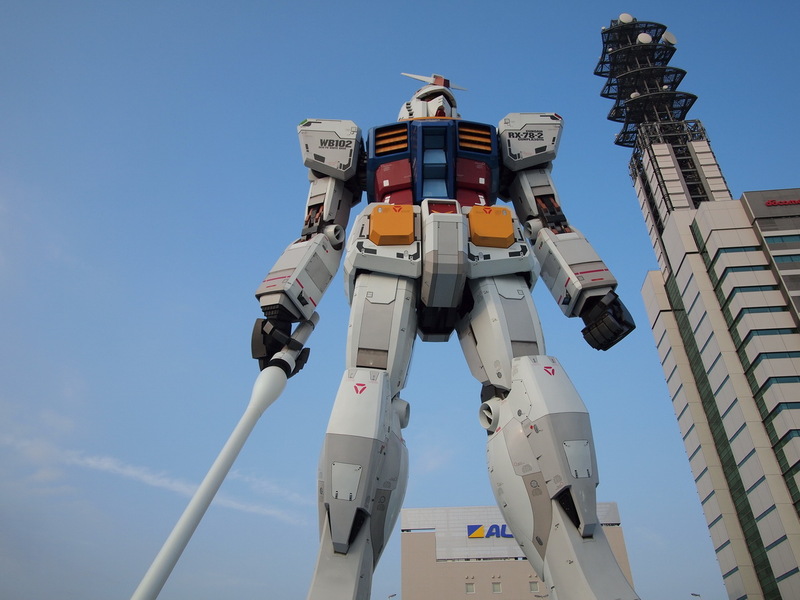 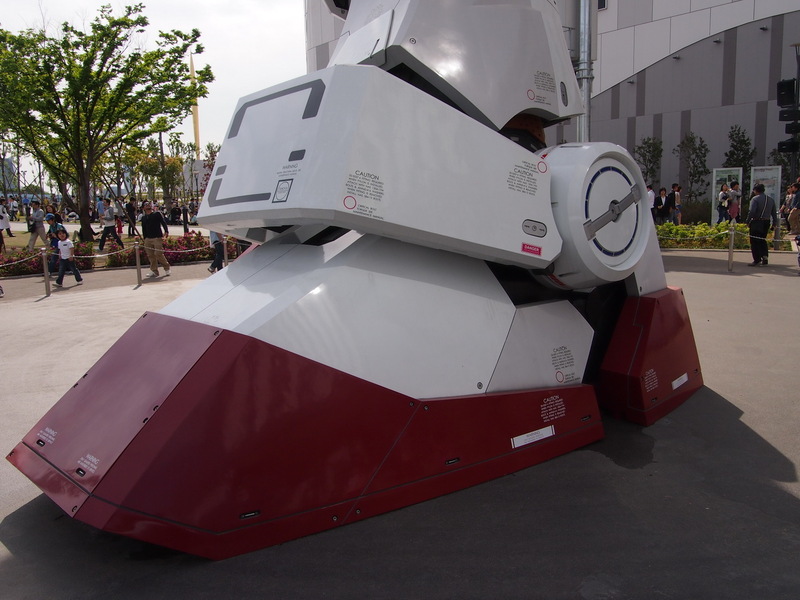 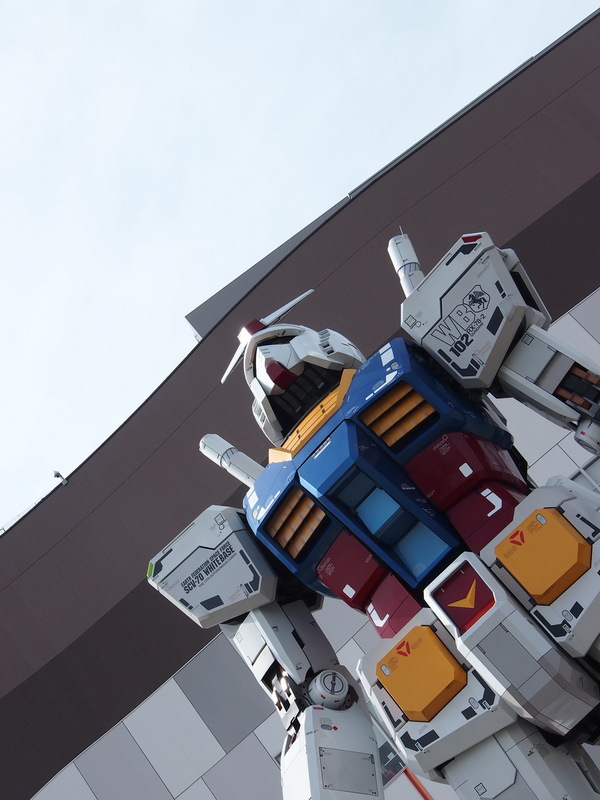 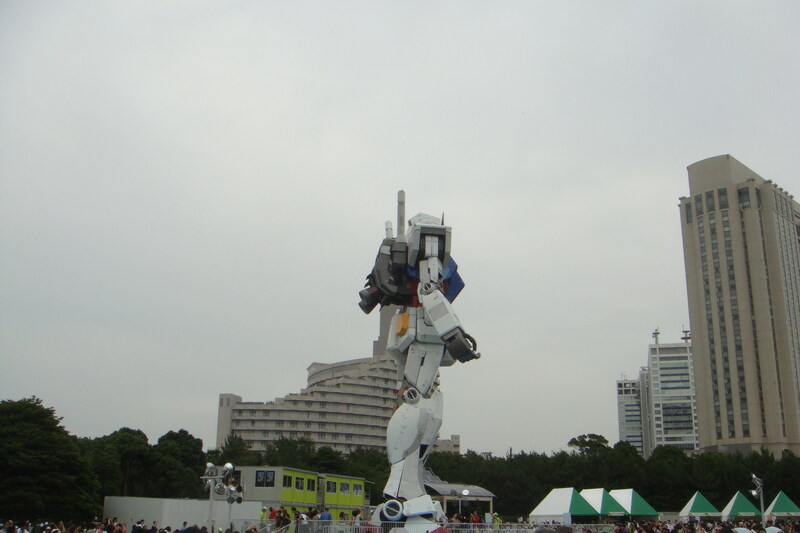 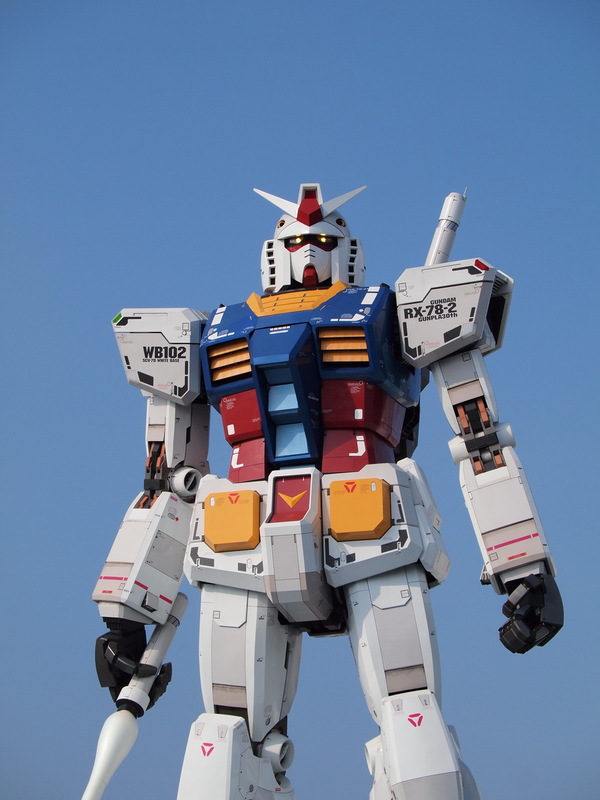 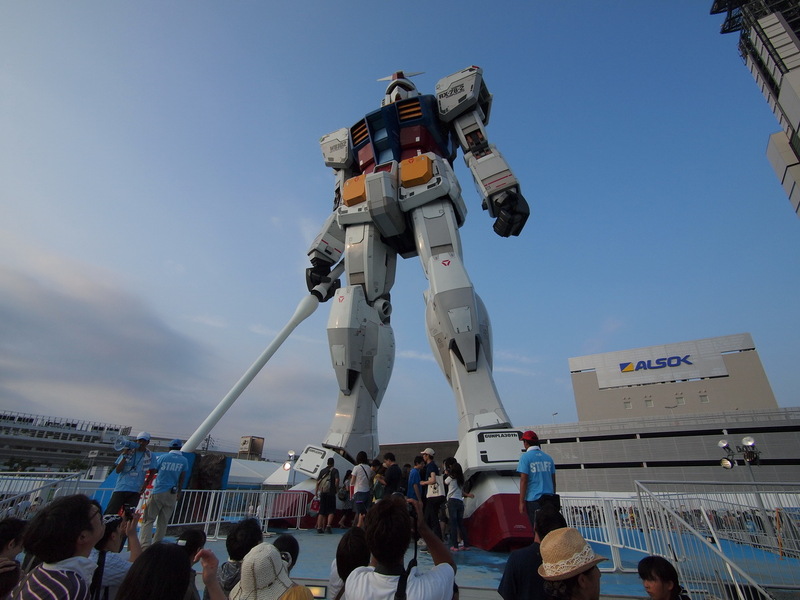 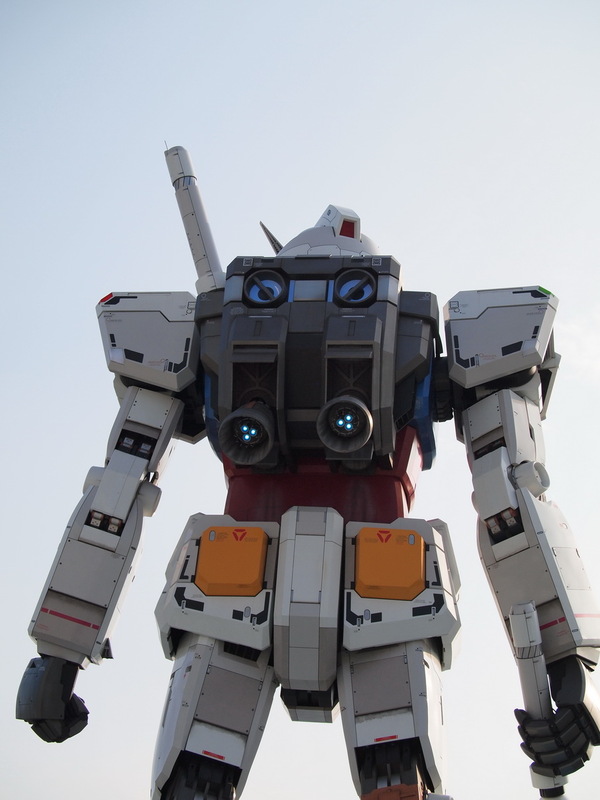 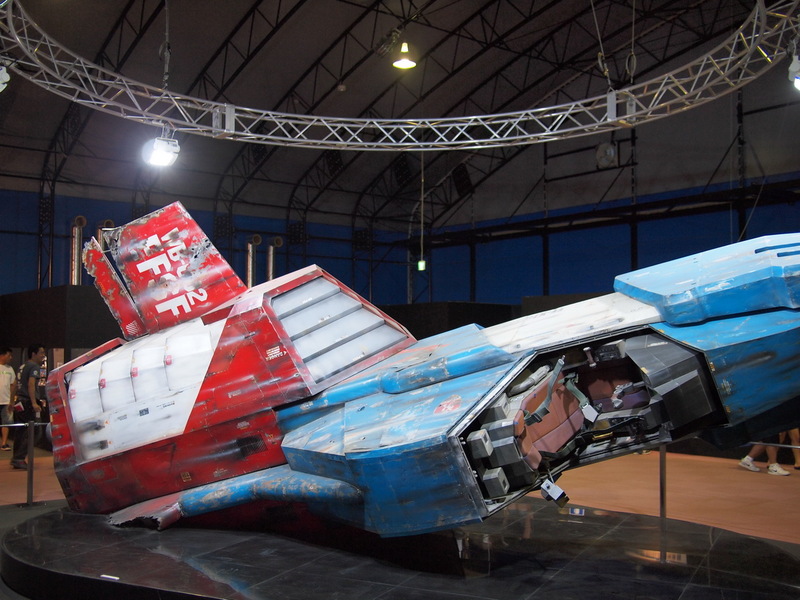 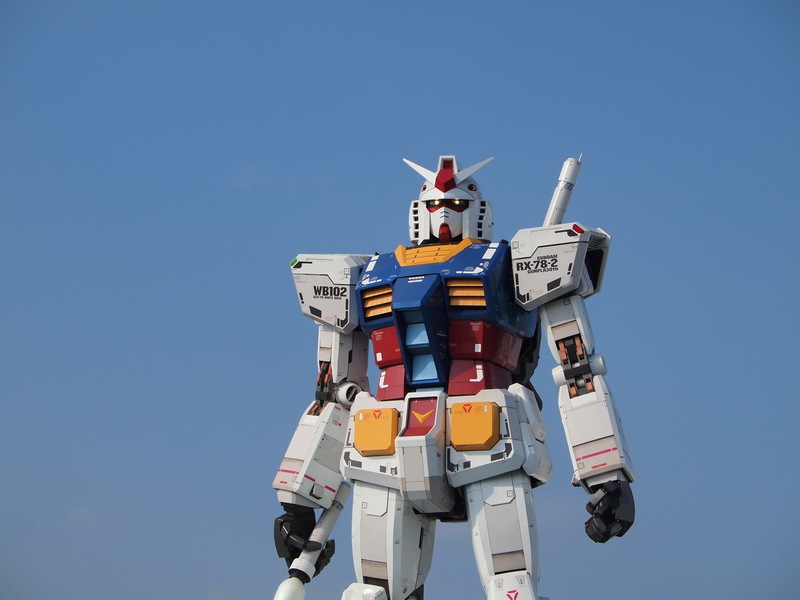 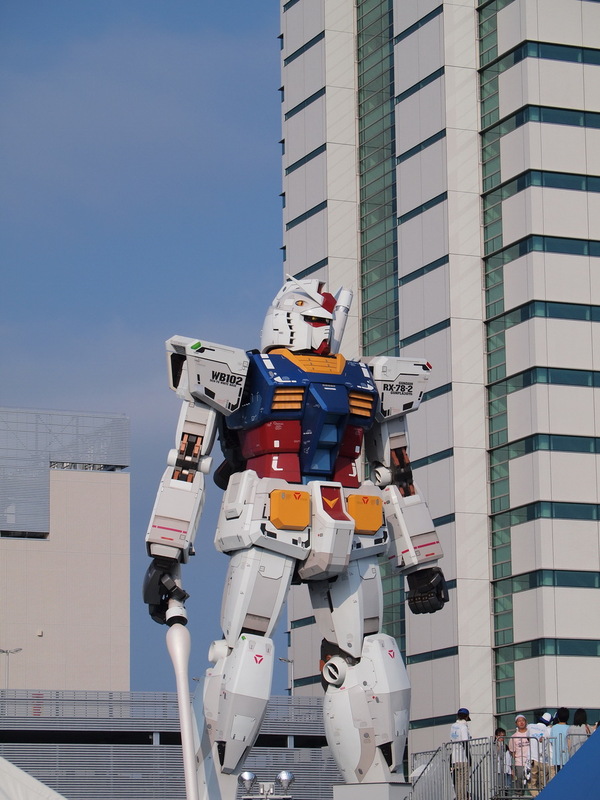 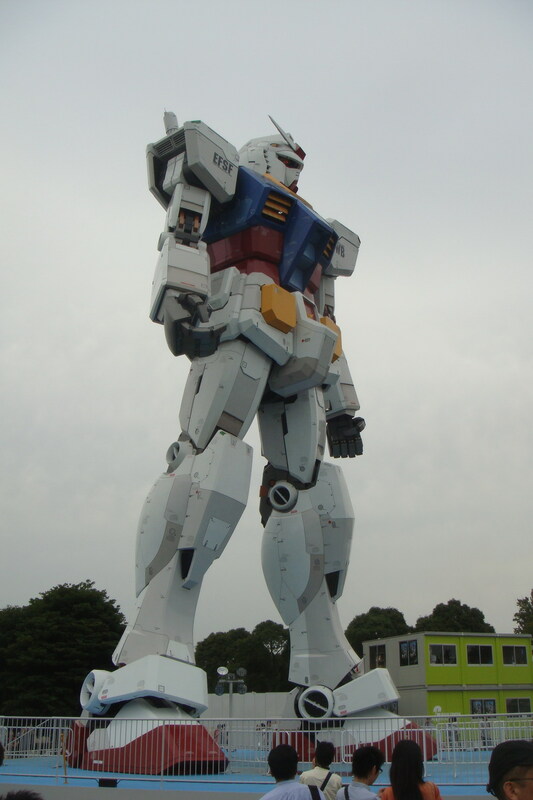 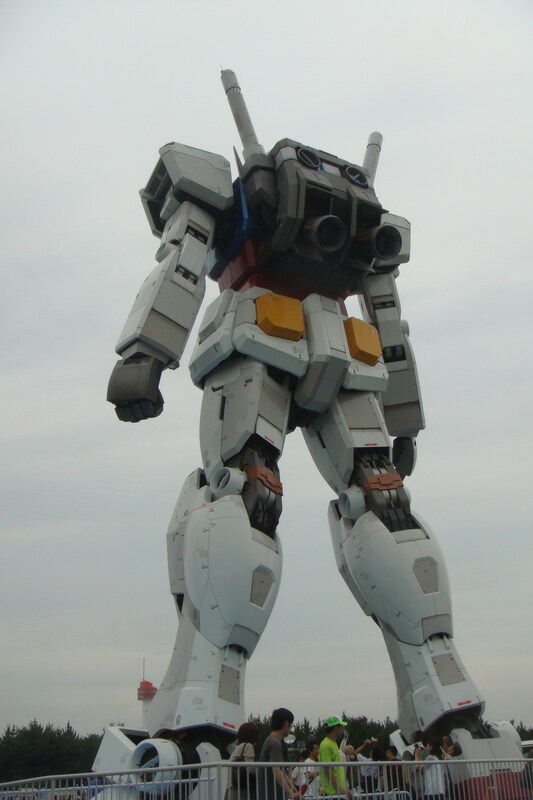 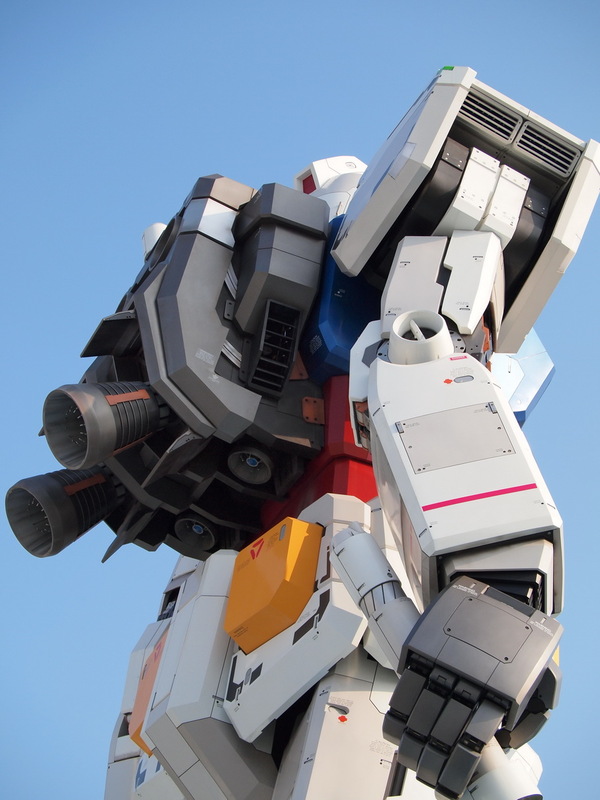 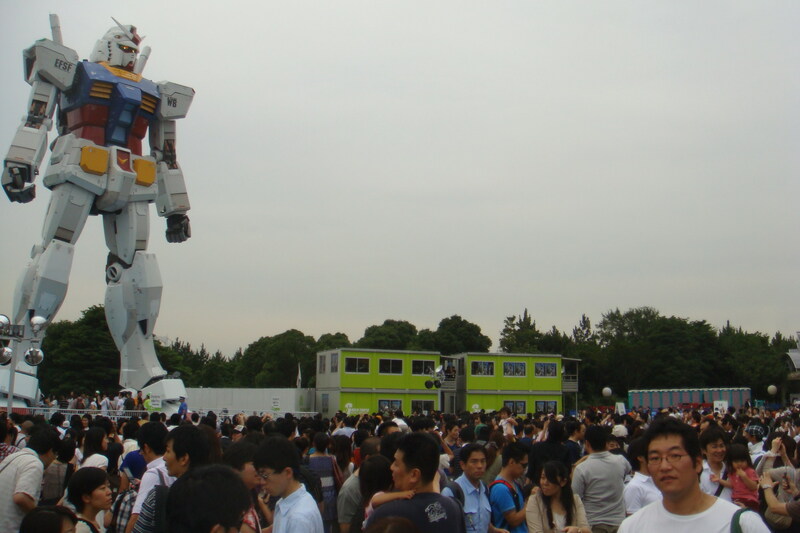 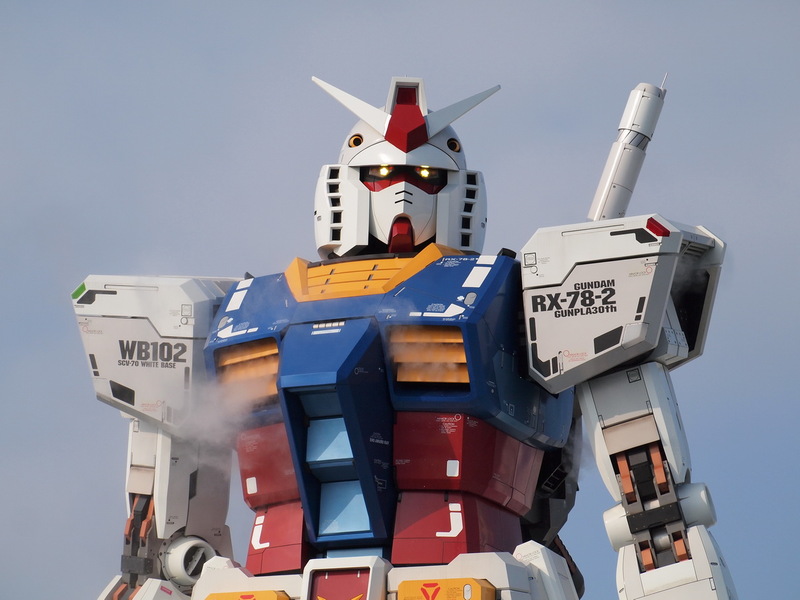 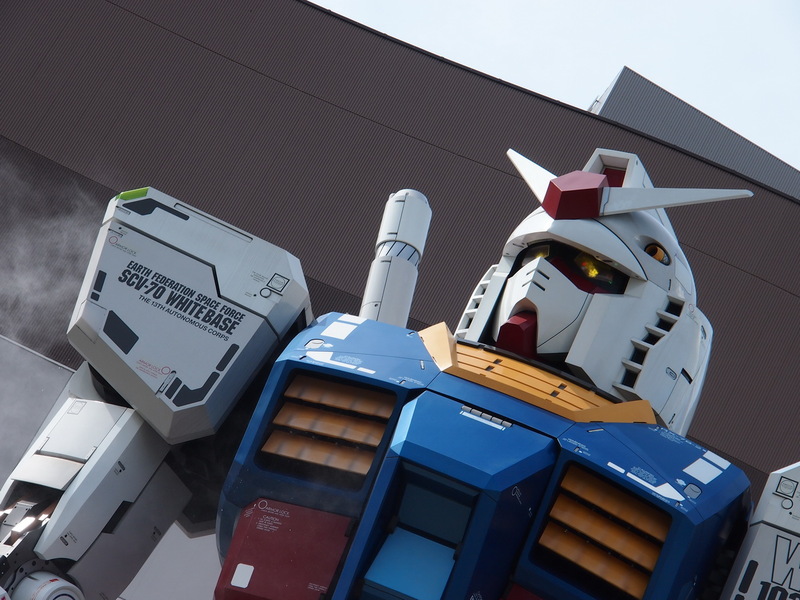 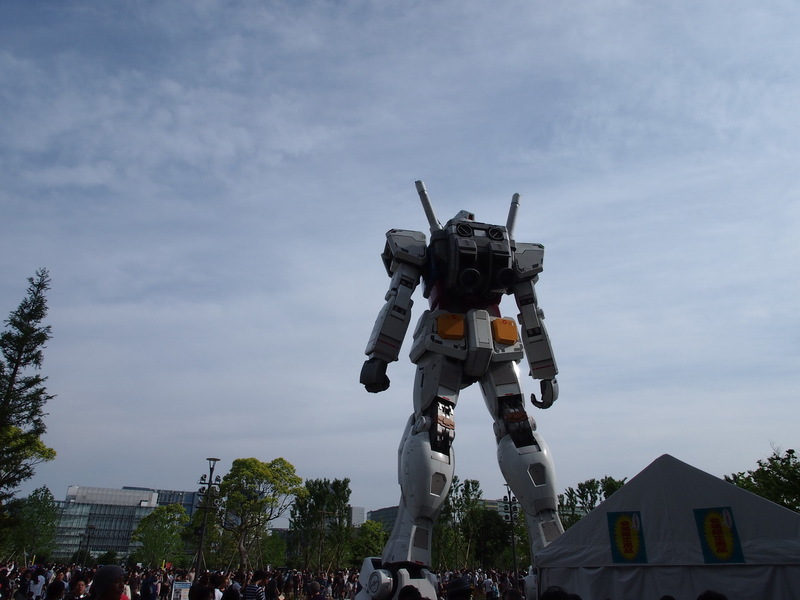 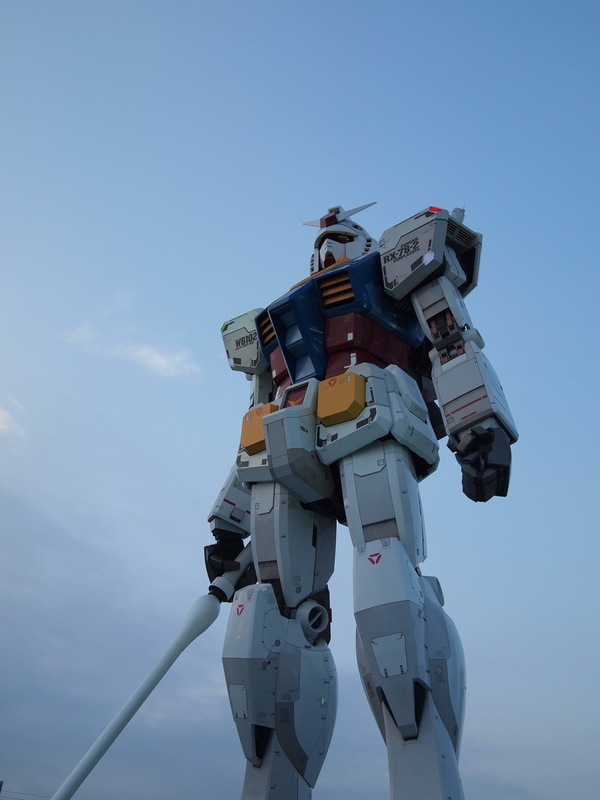 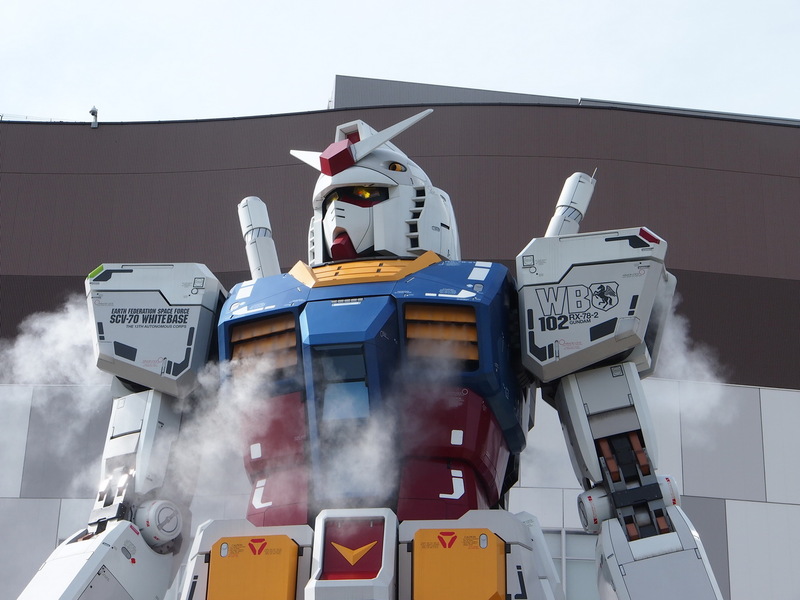 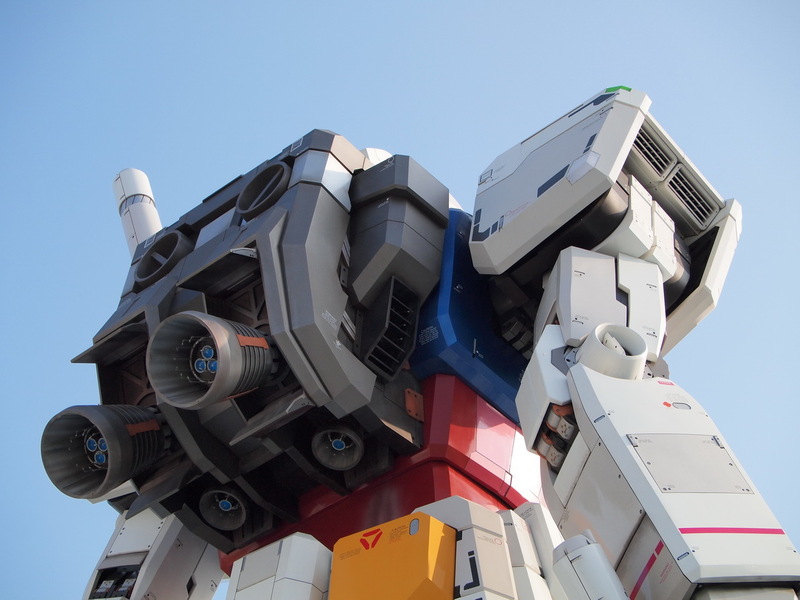 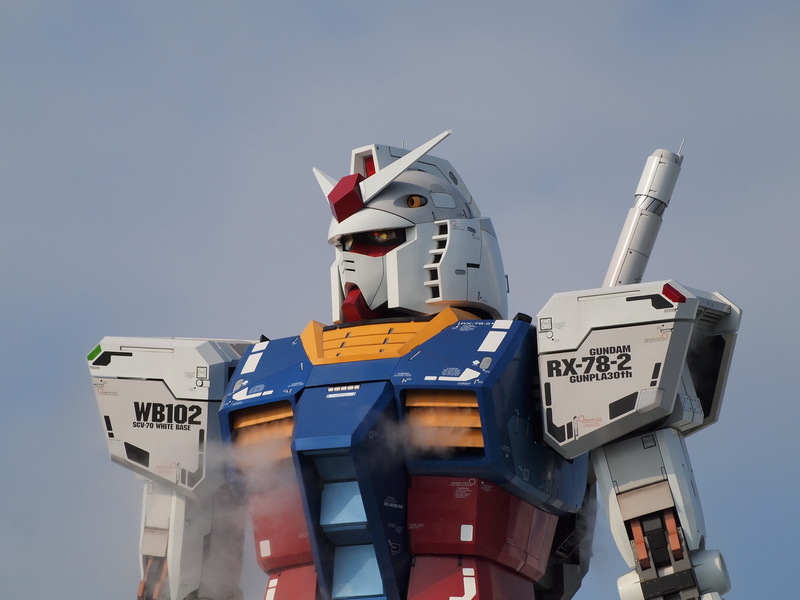 As people may know, the 1/1 Gundam has been erected again, this time in Shizuoka, home to Bandai themselves. 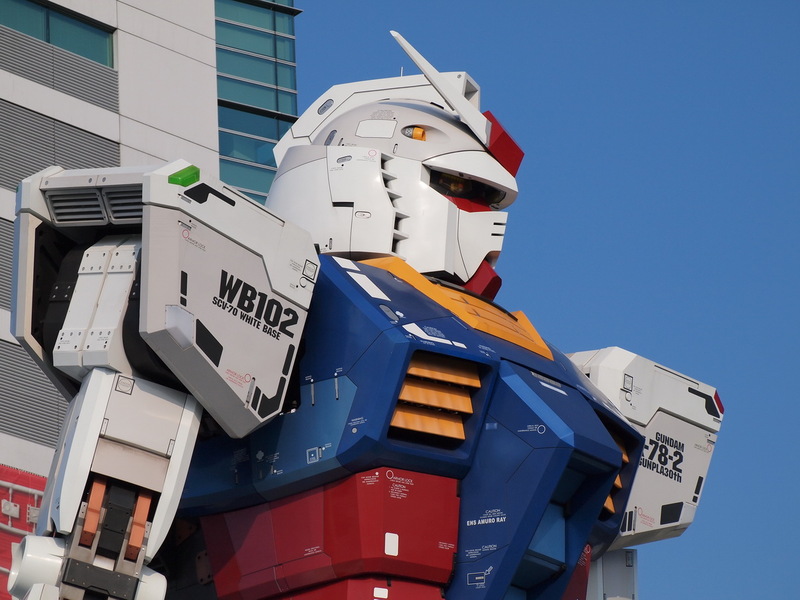 Today saw an epic meeting of Gunplars, as Buster from Plamo Addiction, GaiGun from Gaijin Gunpla, myself, and Gundam Guy from America got together to witness the awesomeness that is the 1/1 in person. 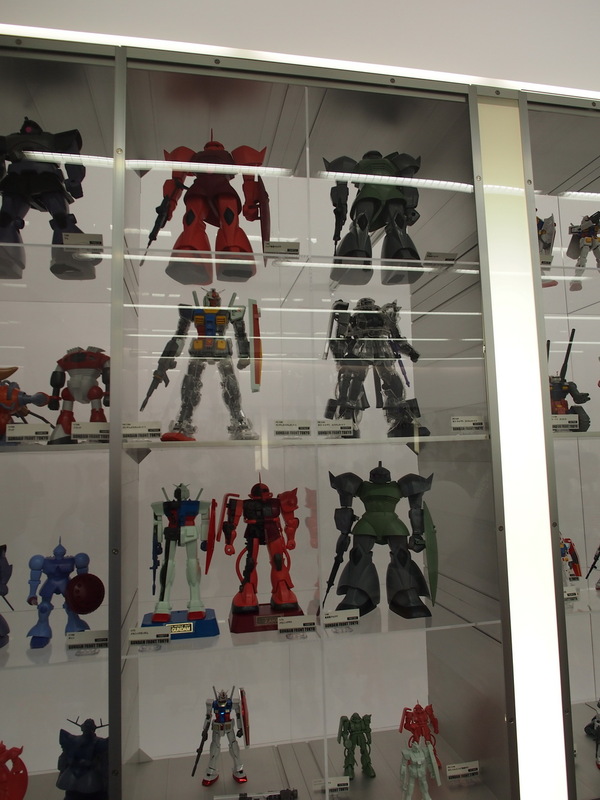 Much gentei Gunpla was bought, including Tokugawa Musha Mk. 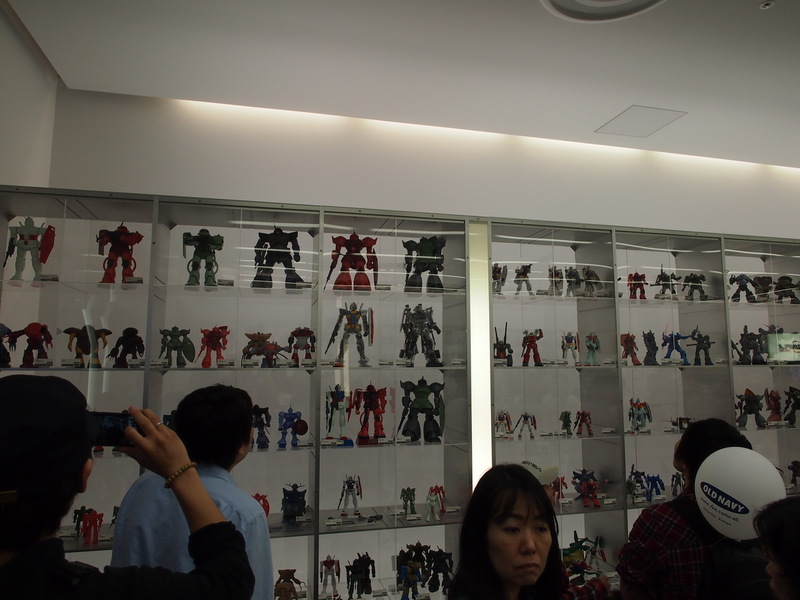 IIs for a majority of the group, and more importantly, much alcohol was consumed afterwards. 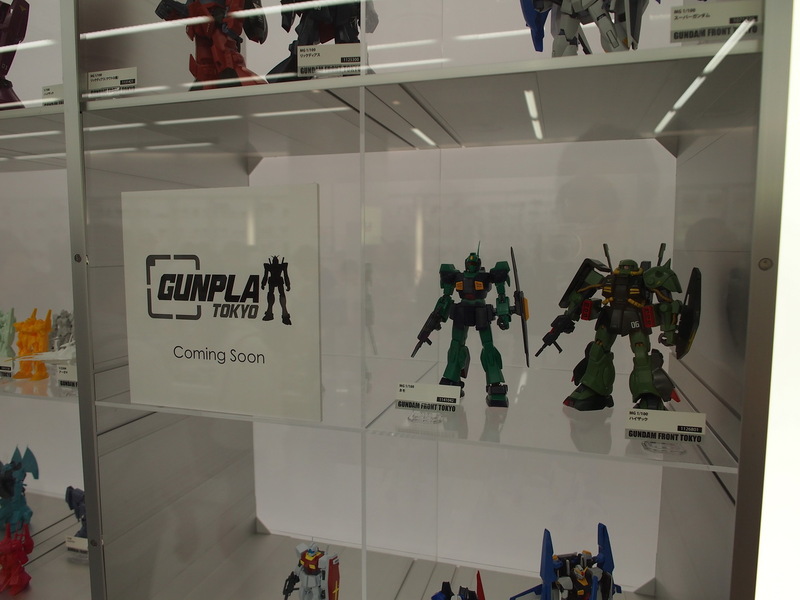 I’ll be back online in the next few days, so look forward to pictures from myself and my fellow Gunplars. 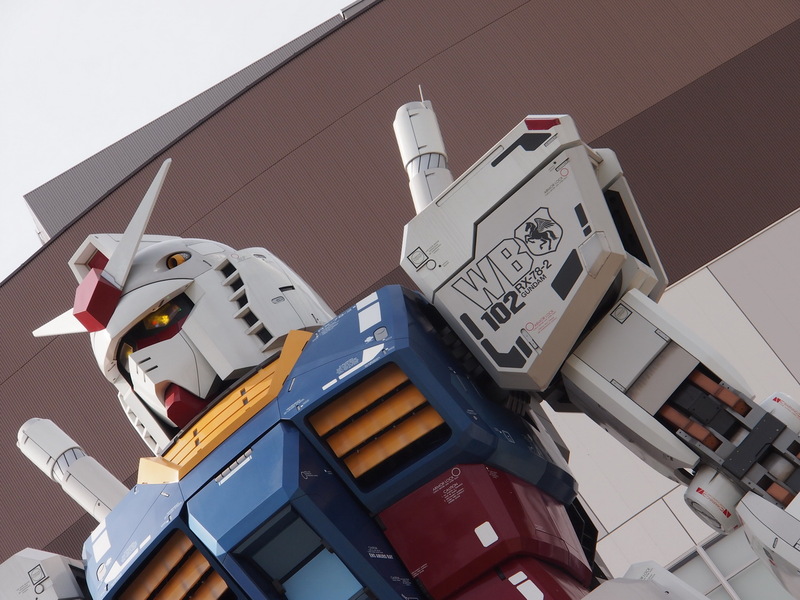 In the meantime, here are some shots from the iPhone. 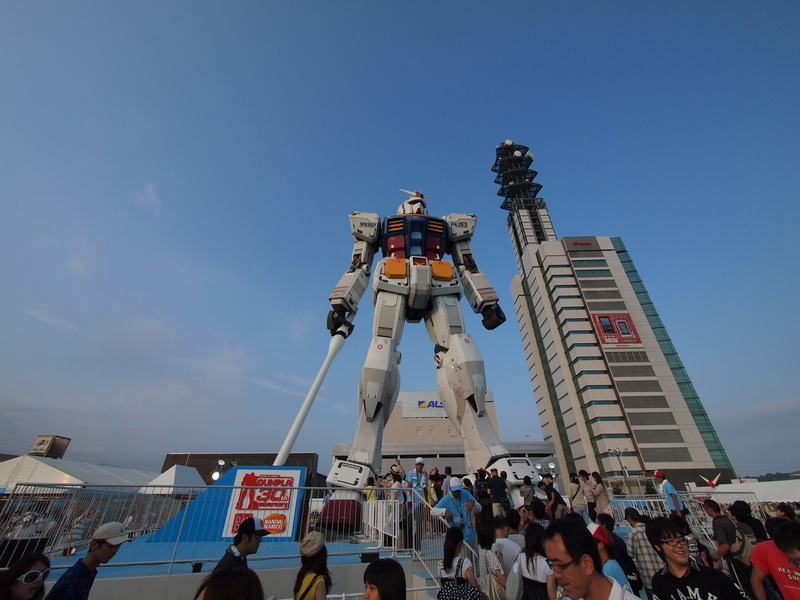 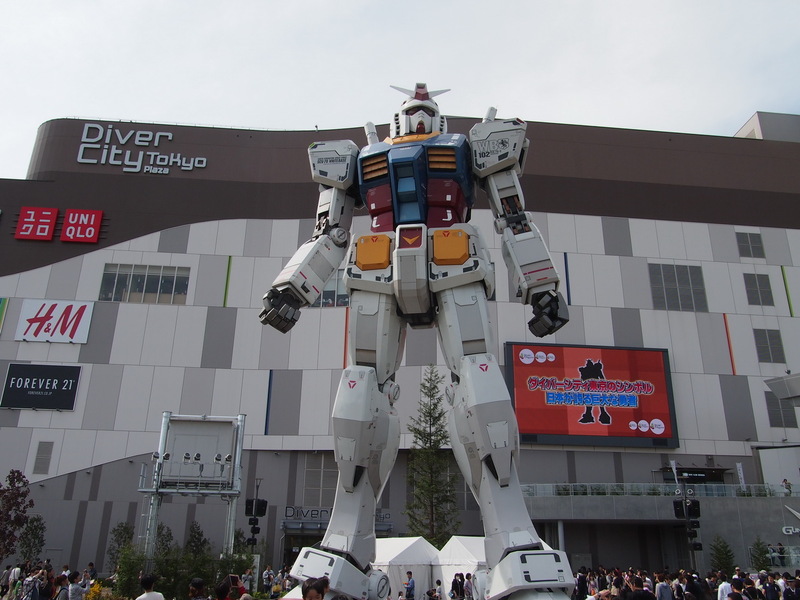 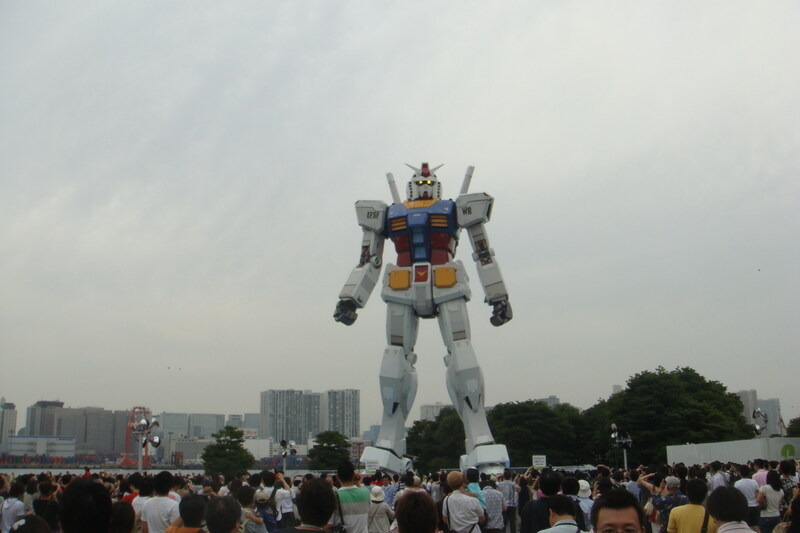 Ran out to see the 1/1 scale Gundam in Daiba today. 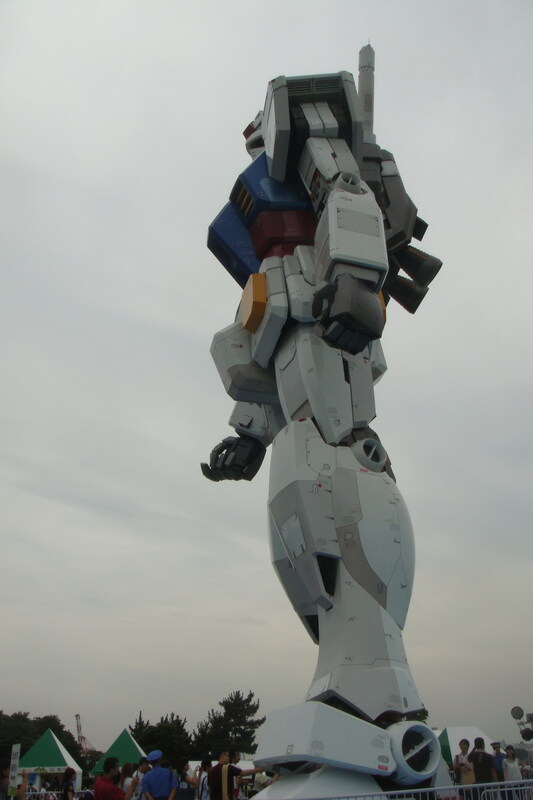 Pictures just don’t do it justice. 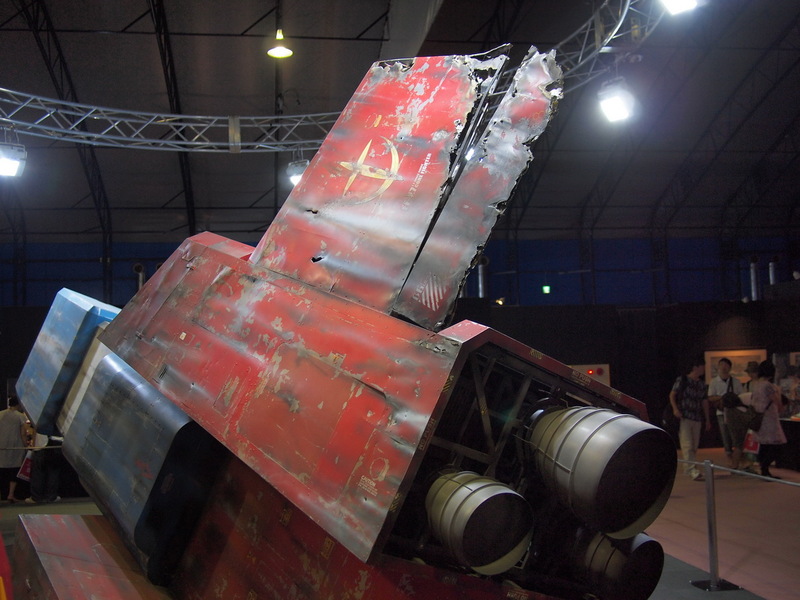 While there are tons of pictures out there, and I’m sure there will be plenty more, here’s mine to add to the bunch. 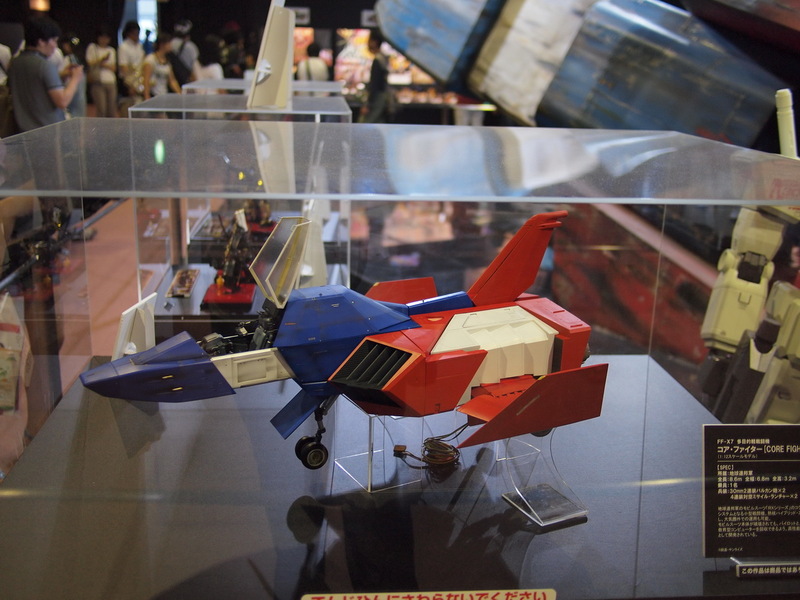 Also! 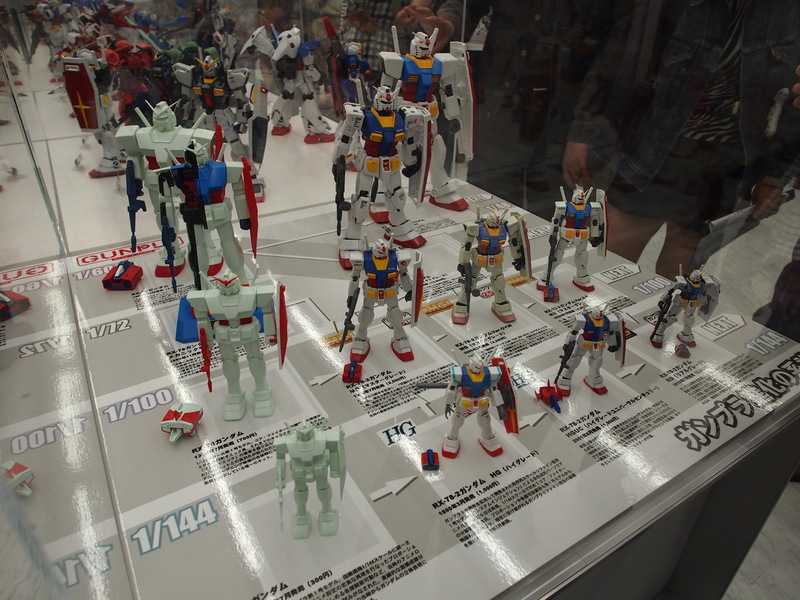 I picked up a few extra Gundam Ver. 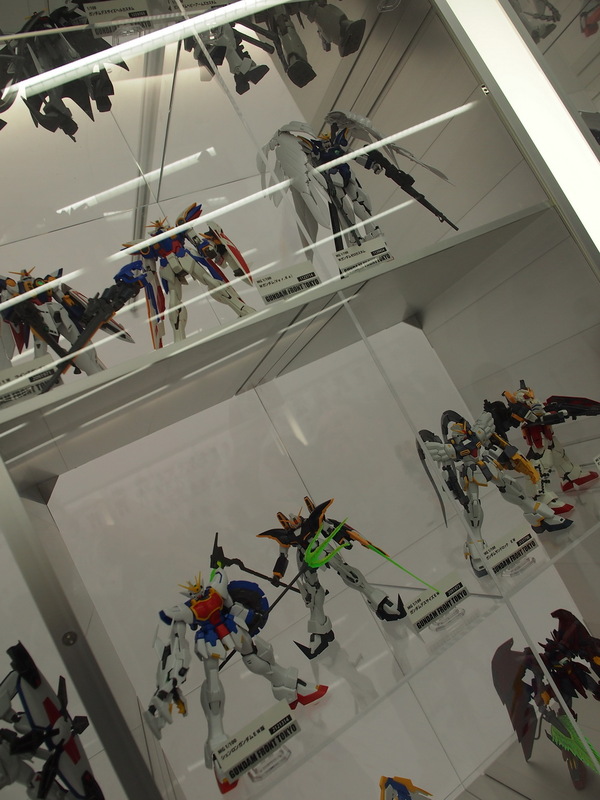 30th Green Tokyo Gundam Project kits as well, as this is the only place you can get them. 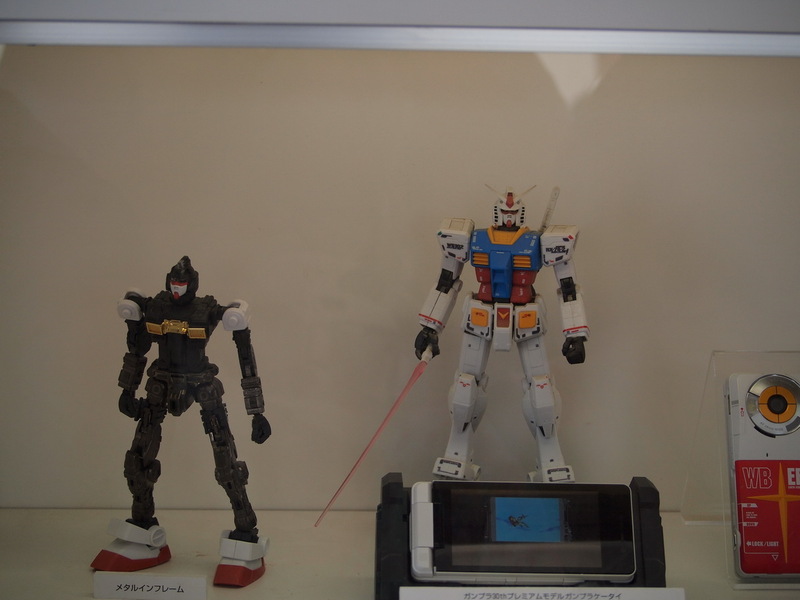 I’ve got 3 extra, and will post details on them. 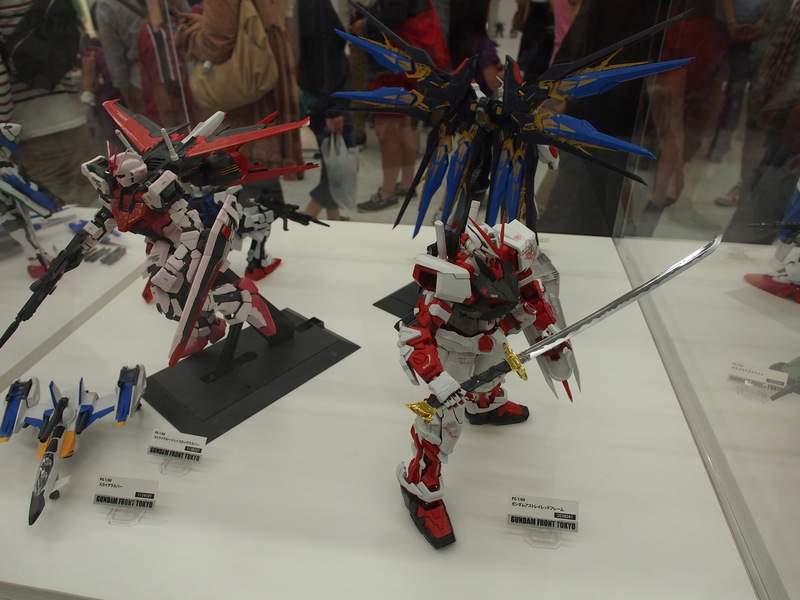 Like the Sinanju, first come, first serve. 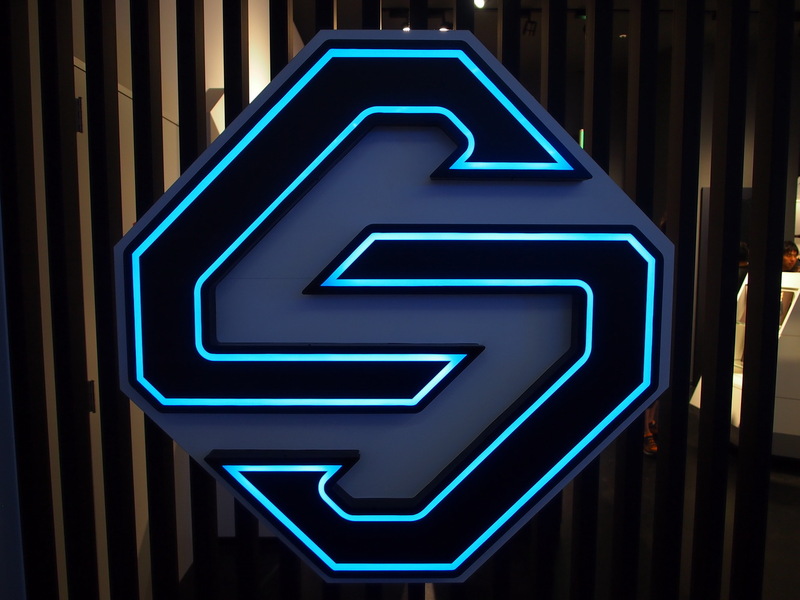 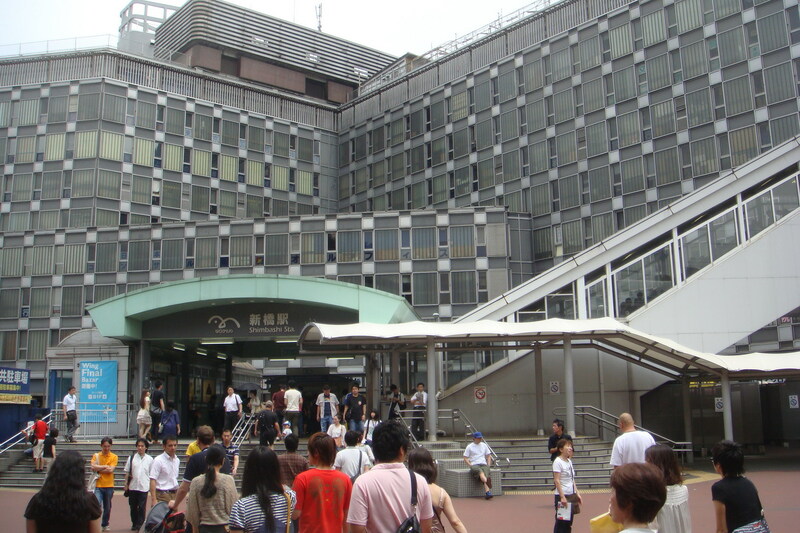 At Shimbashi station – Take the Yurikamome to Daiba station. 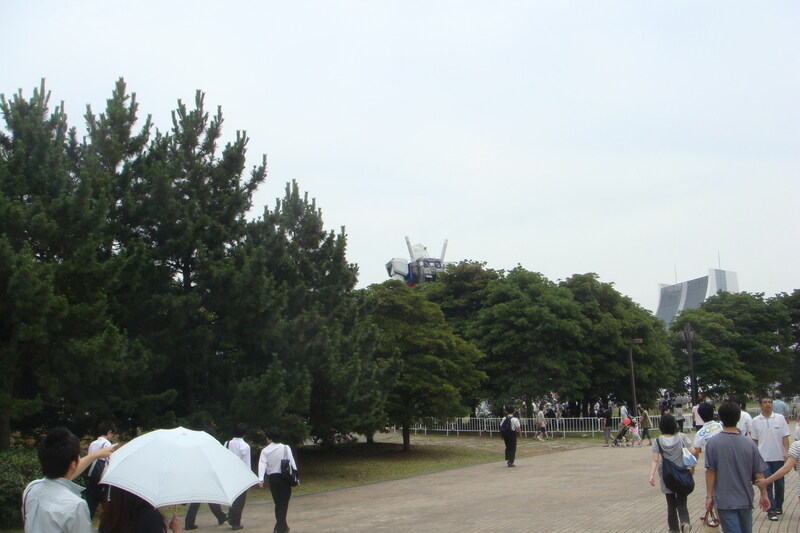 The park is about a 5 minute walk from the station. 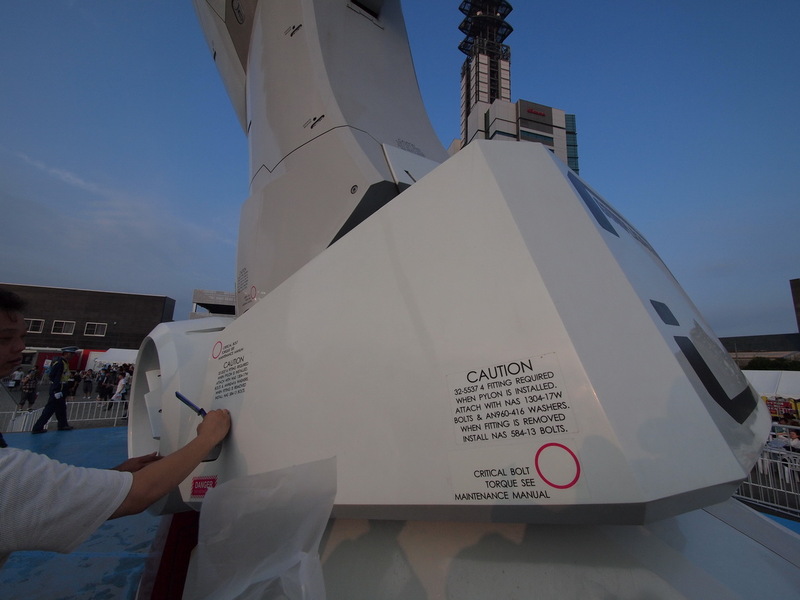 And catching a peek as we go. 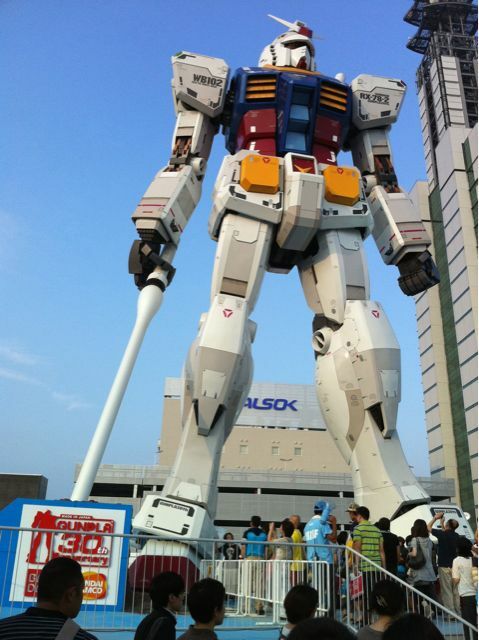 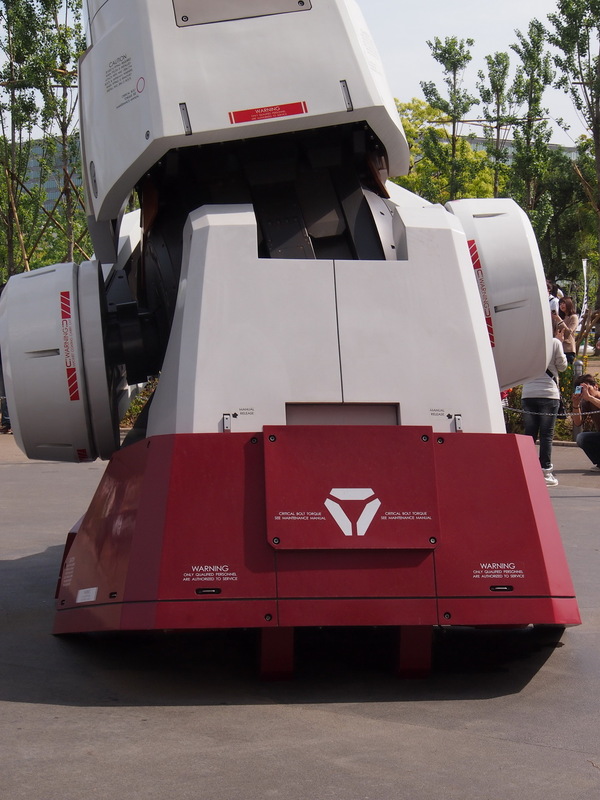 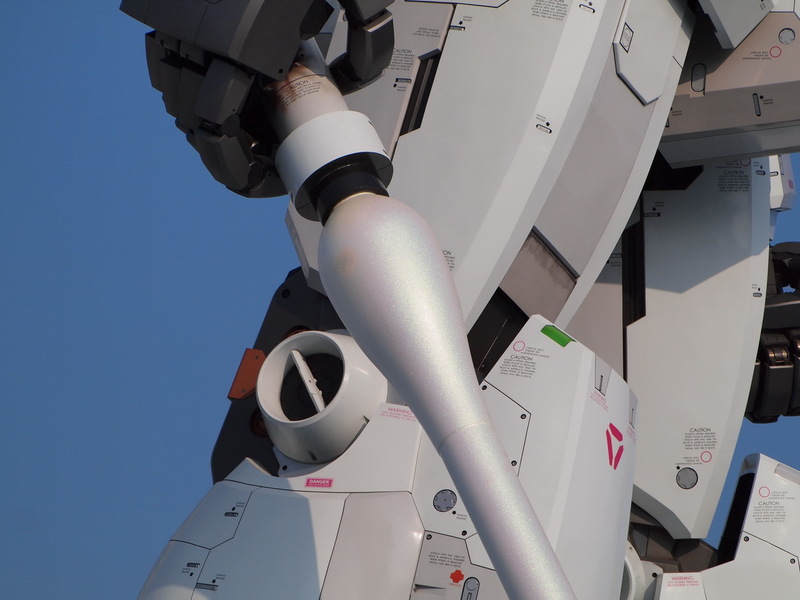 Various shots around the Gundam. 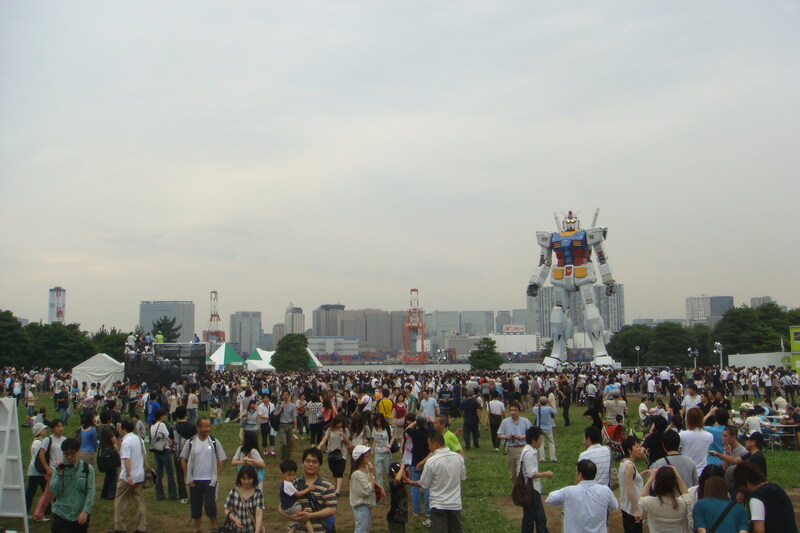 The crowd started picking up towards the afternoon. 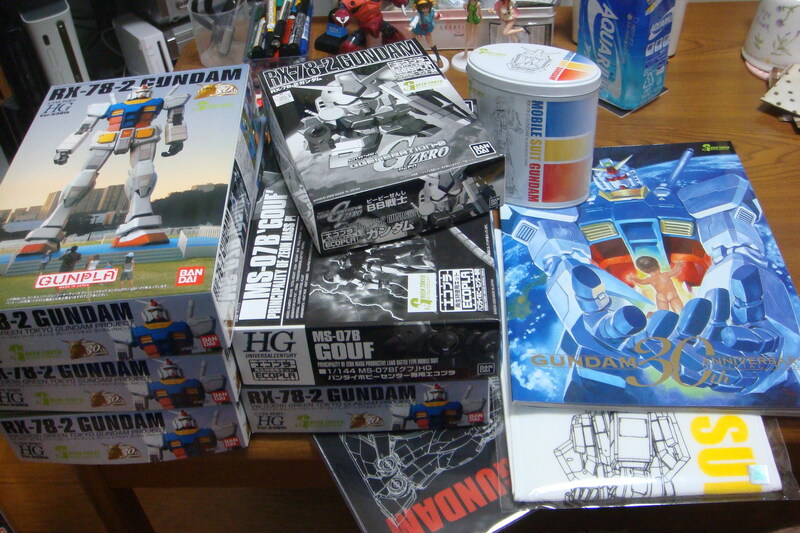 Picked up the limited HGUC Gundam, the pamphlet along with a couple of the Eco-pla kits. 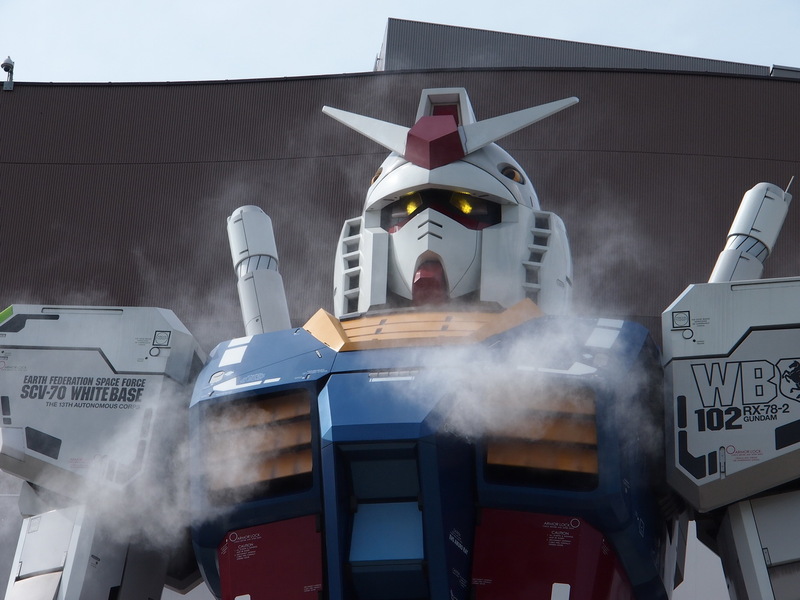 Throw in a towel and some cookies for good measure.